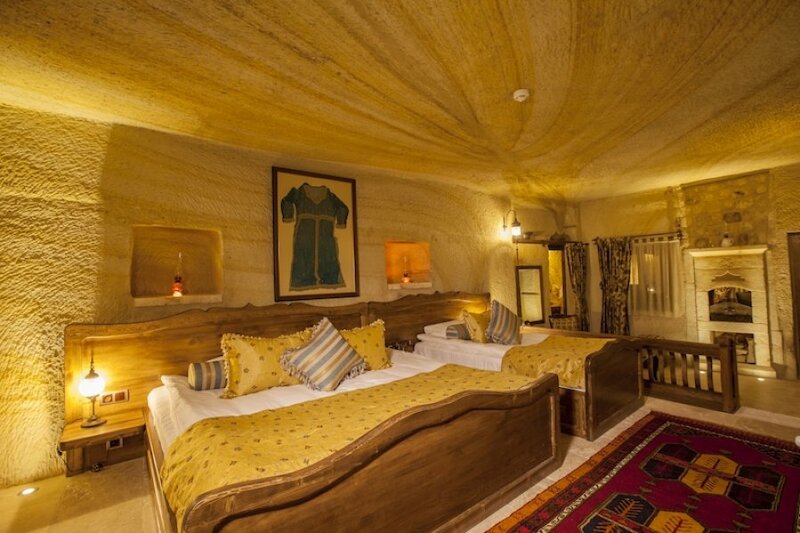 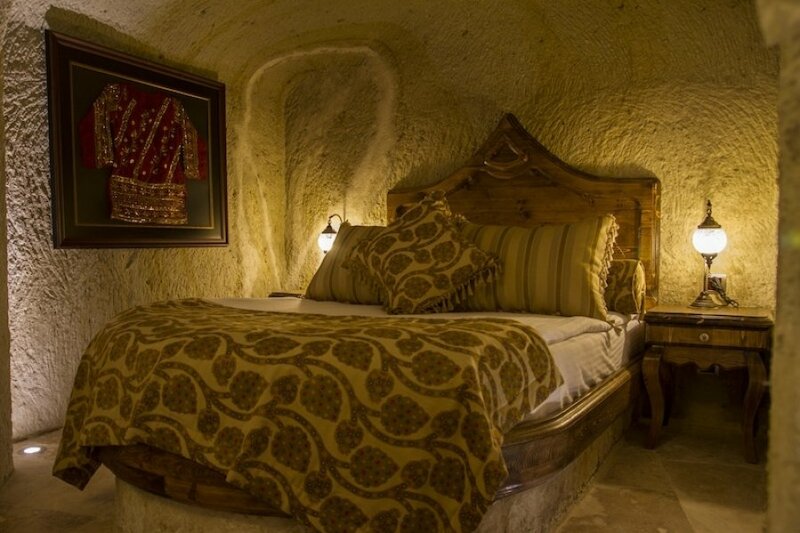 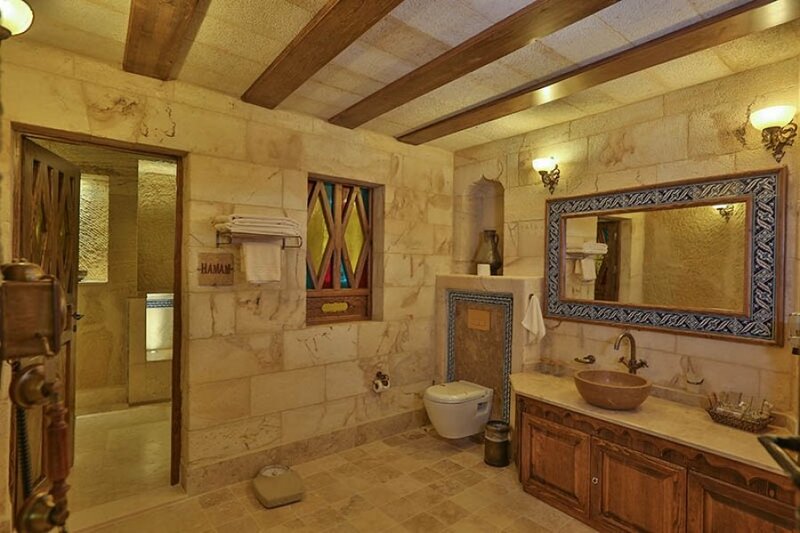 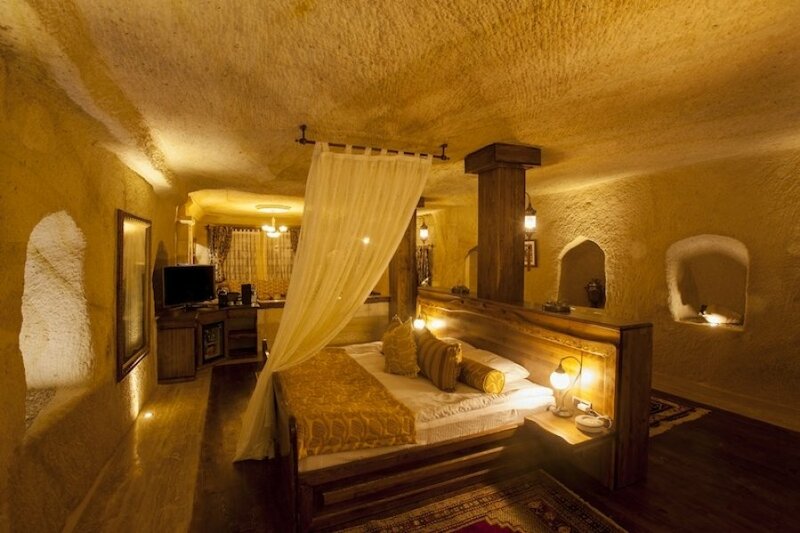 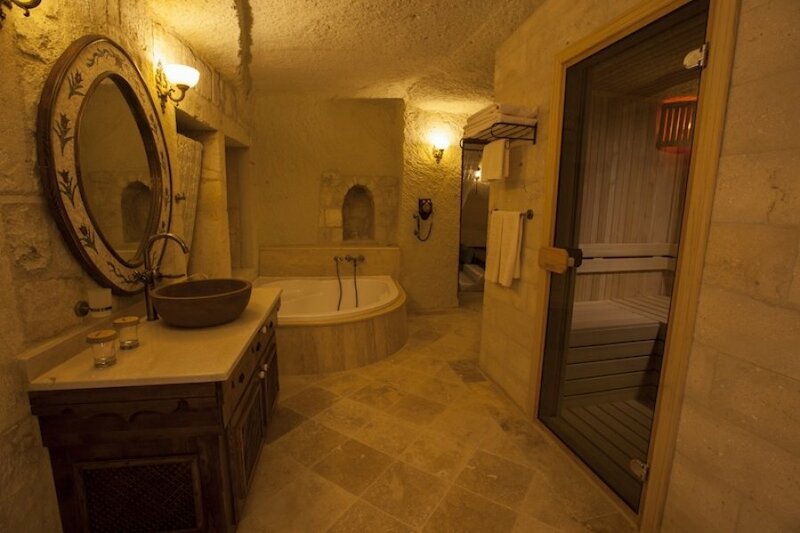 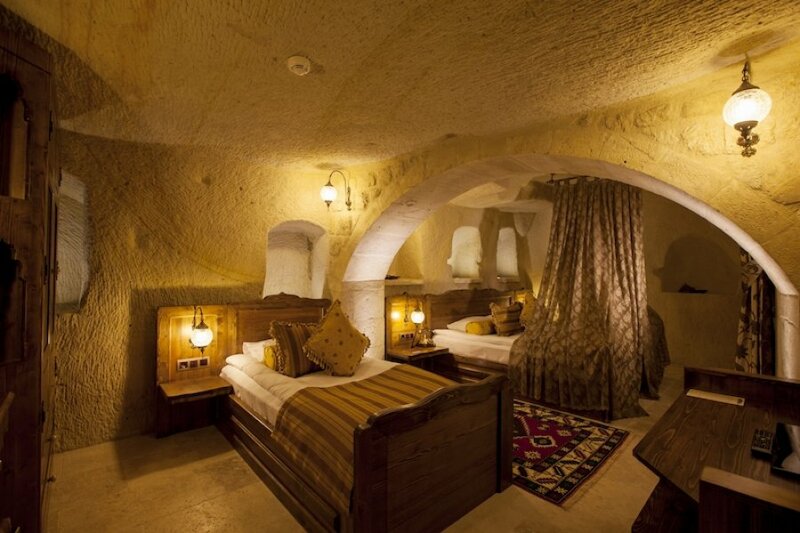 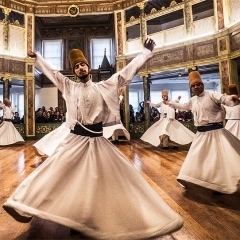 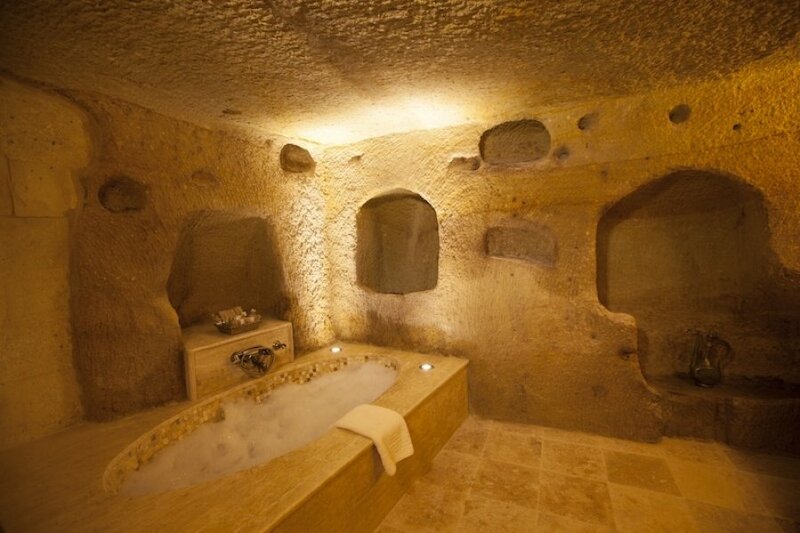 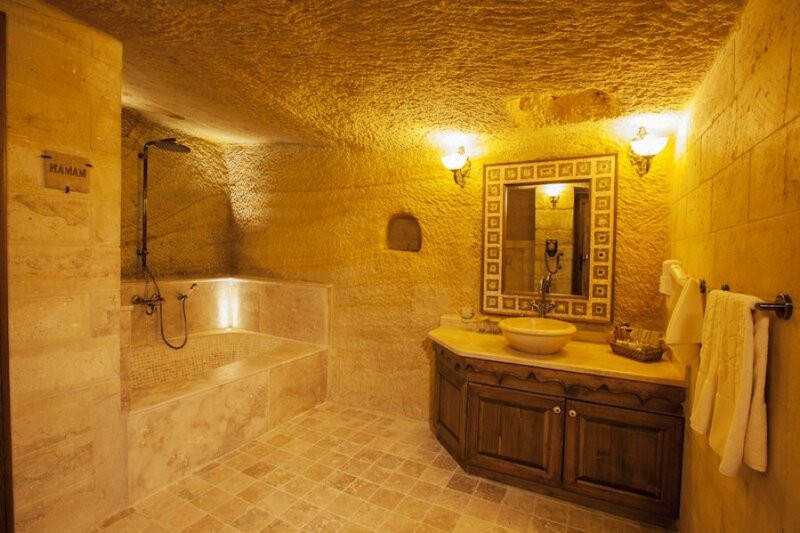 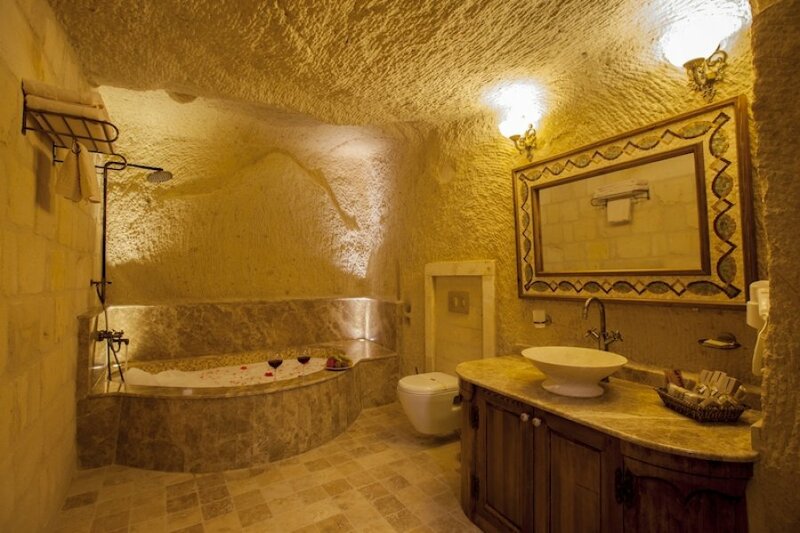 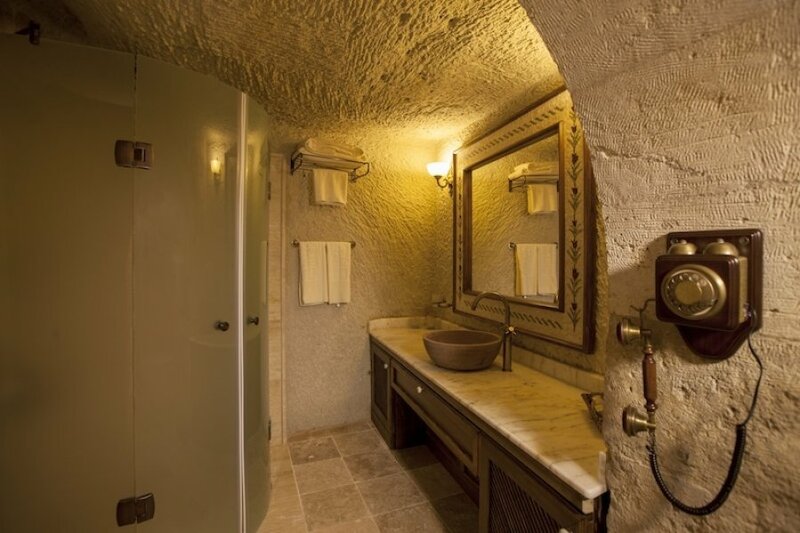 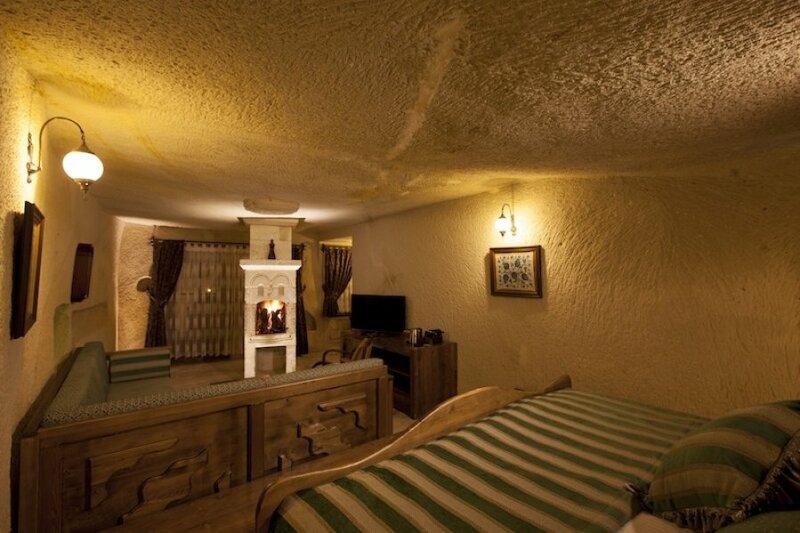 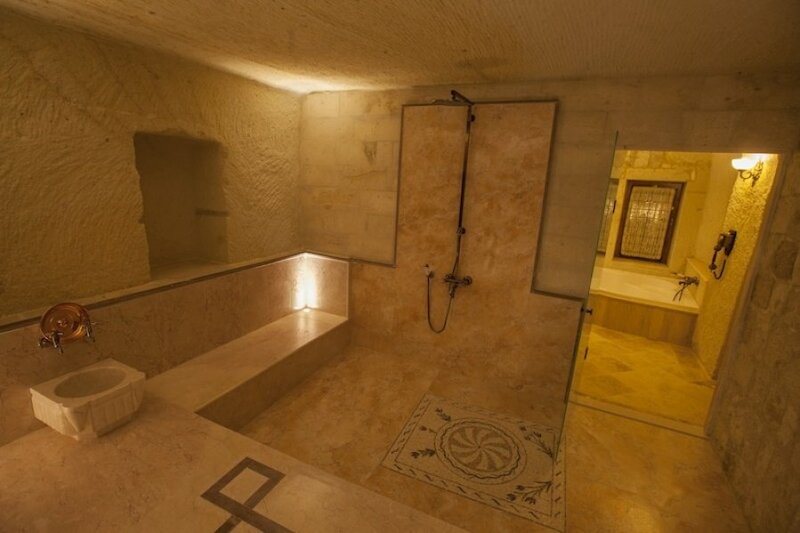 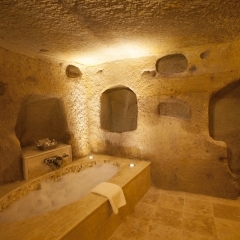 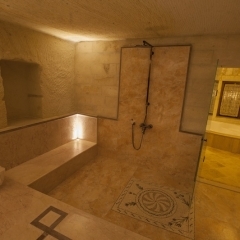 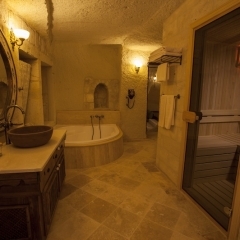 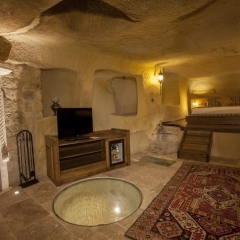 A true Cappadocian experience. 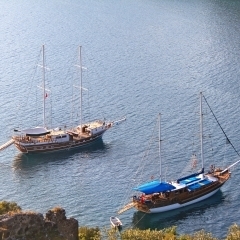 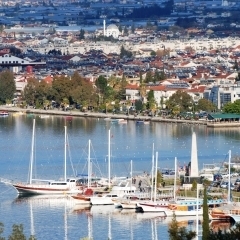 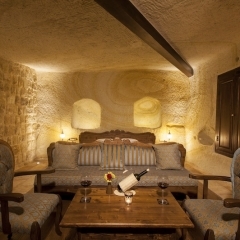 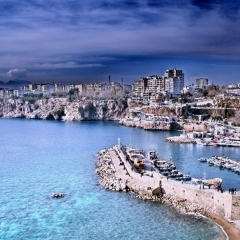 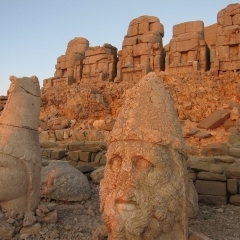 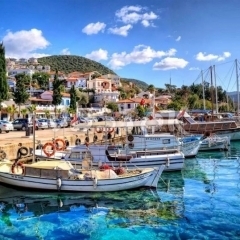 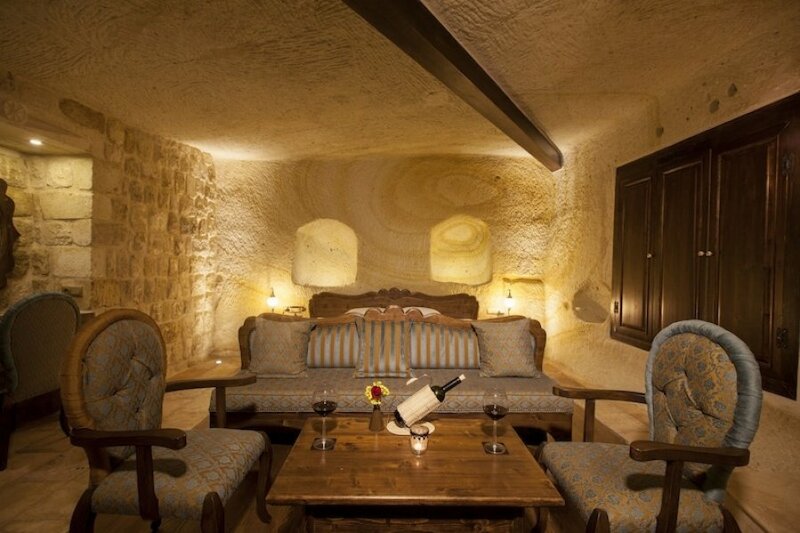 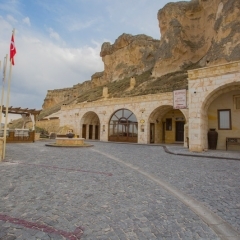 Kayakapi Premium Caves takes its name from the historical neighborhood where it is located. 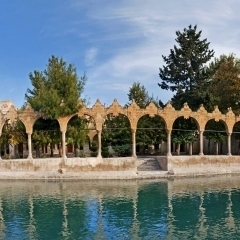 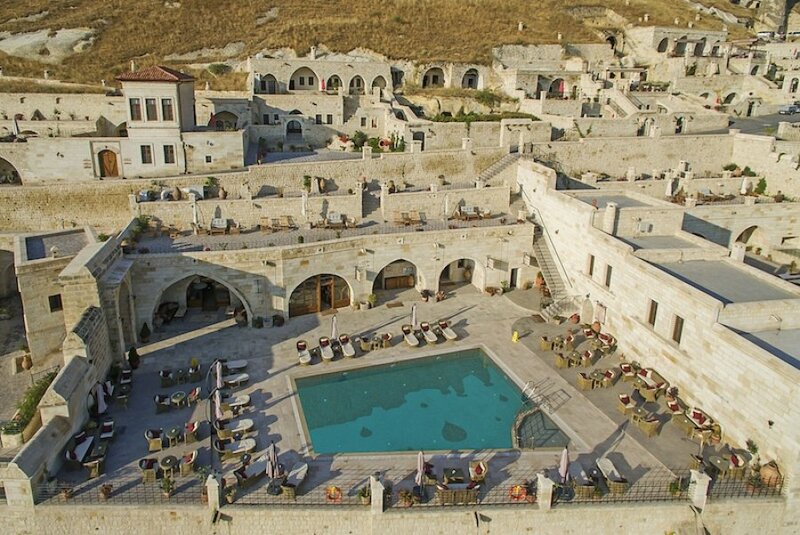 Kayakapi was one of the earliest of the Cappadocian settlements and now falls within the boundaries of a UNESCO World Heritage Site. 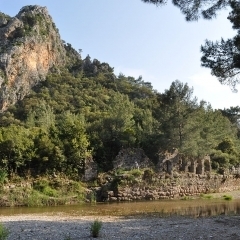 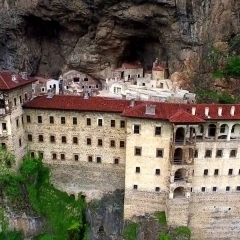 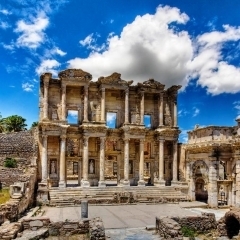 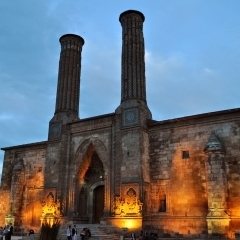 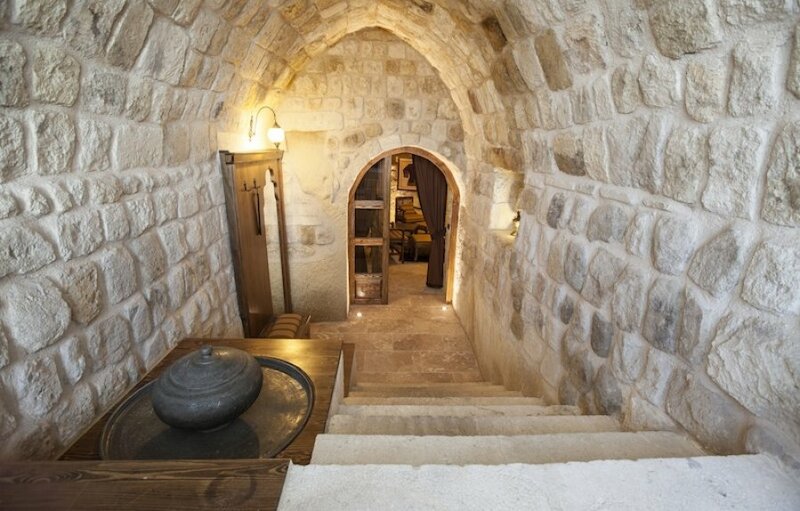 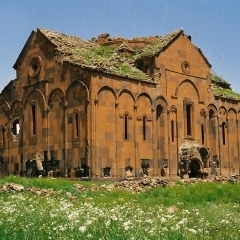 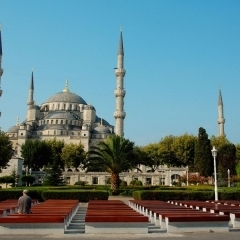 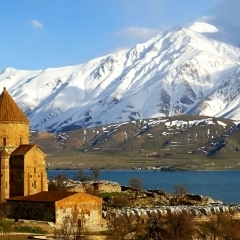 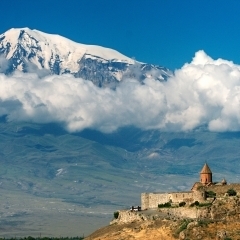 Nearby is a 10th century Cave Church, an Ottoman era Mosque and the house of St John the Baptist. 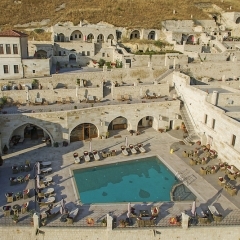 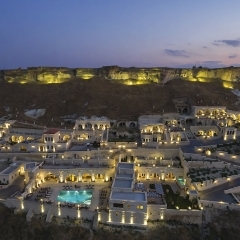 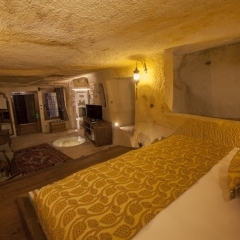 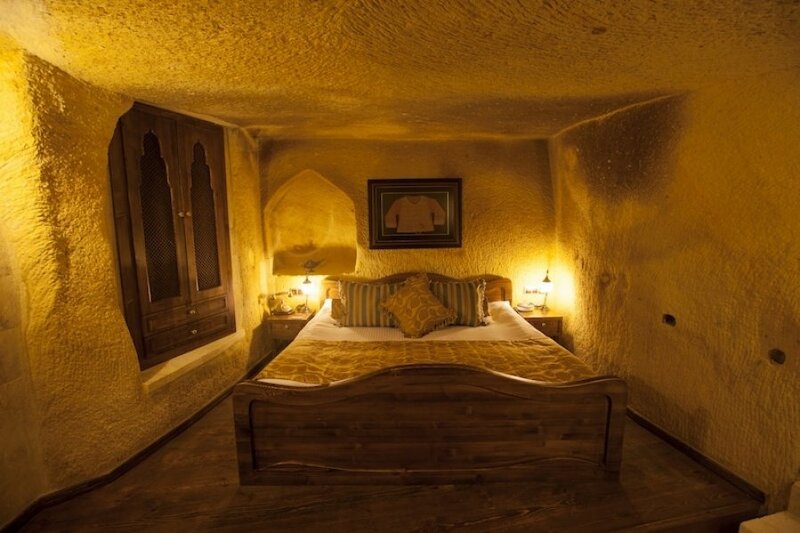 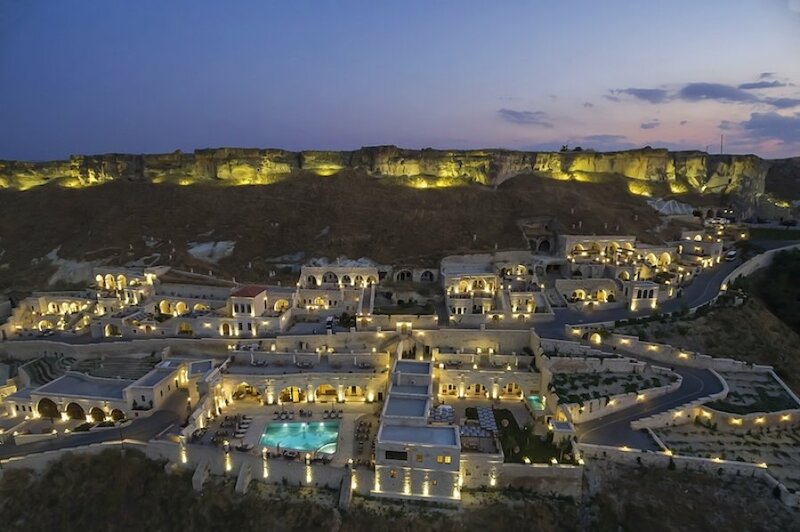 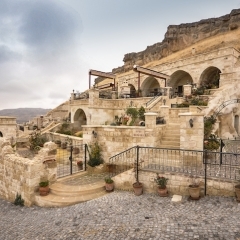 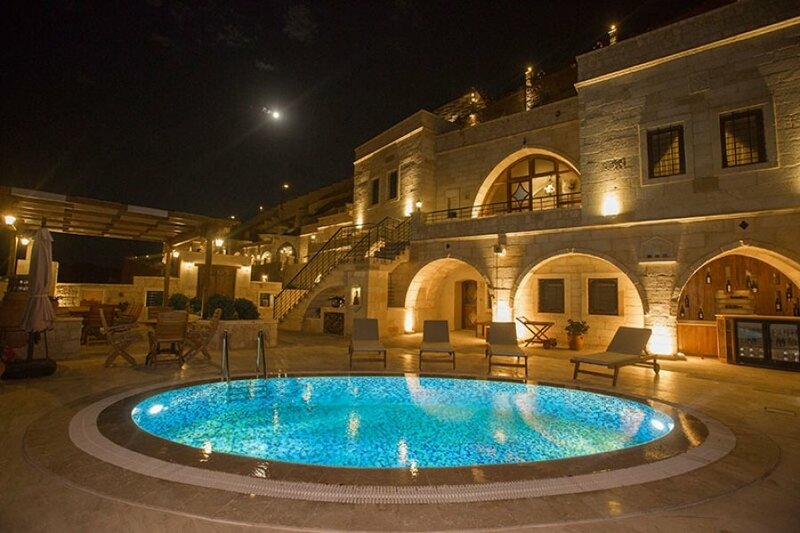 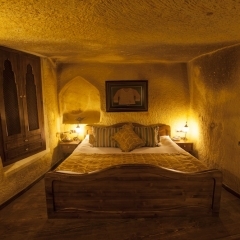 This hotel is carved into the rocky hillside, just 6 km from Goreme Open Air Museum and nestled between the stunning valleys of the Lunar Landscape. 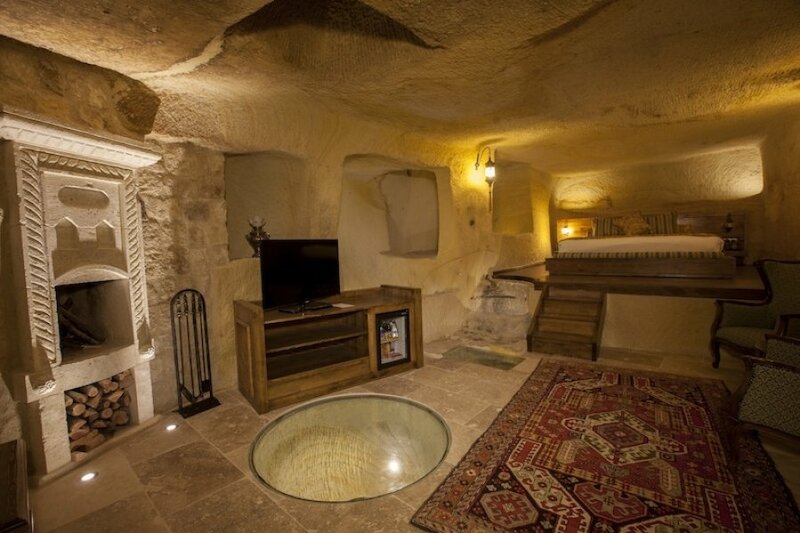 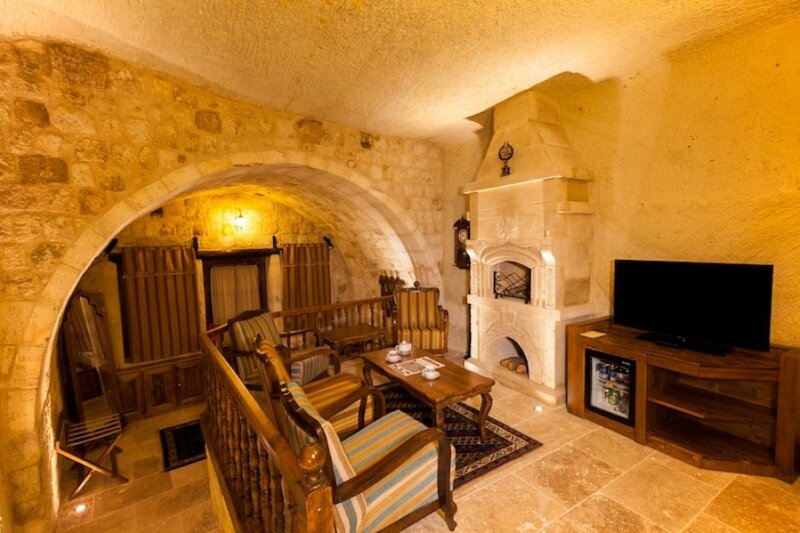 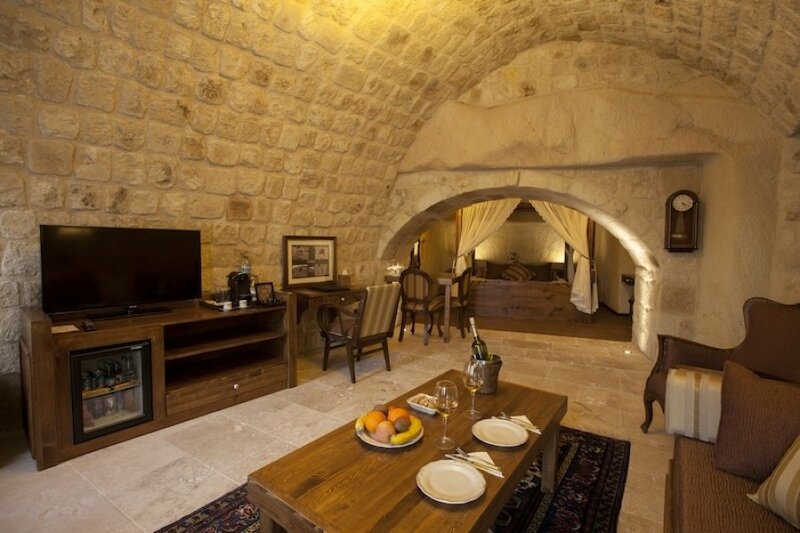 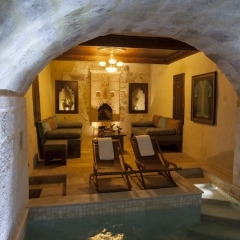 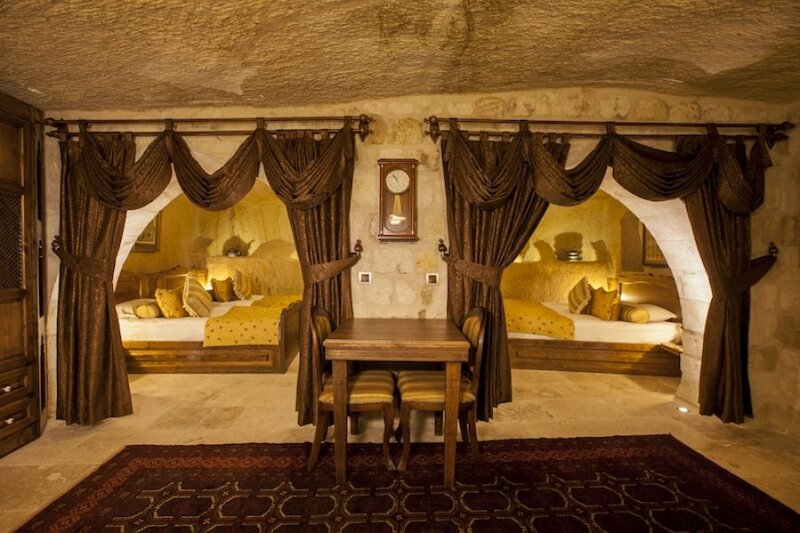 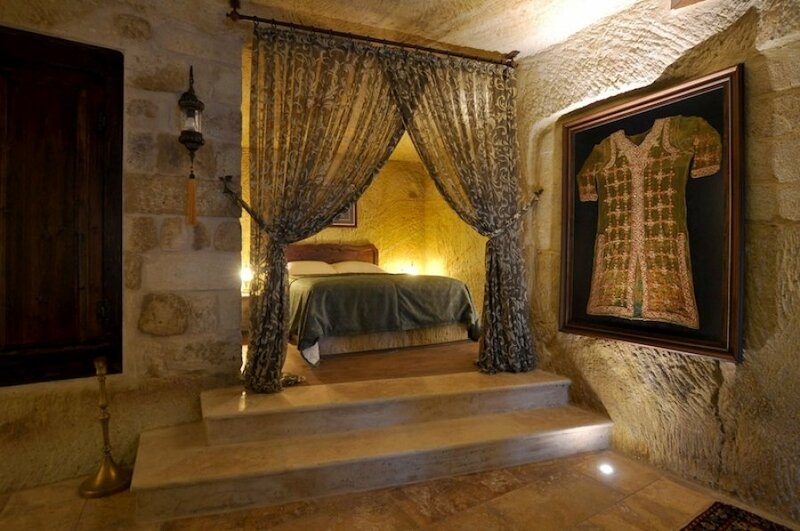 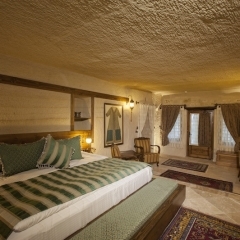 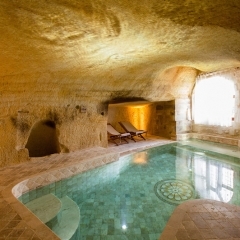 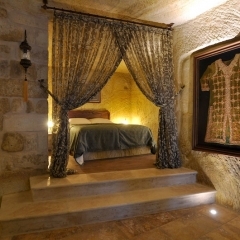 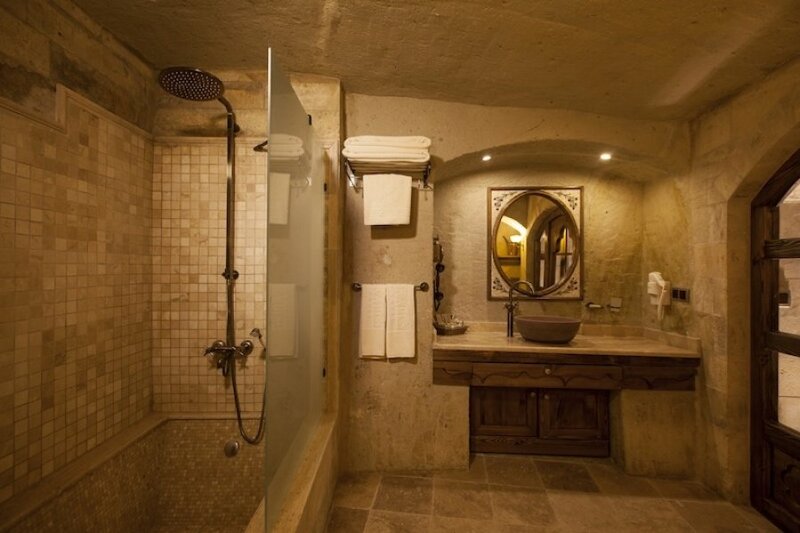 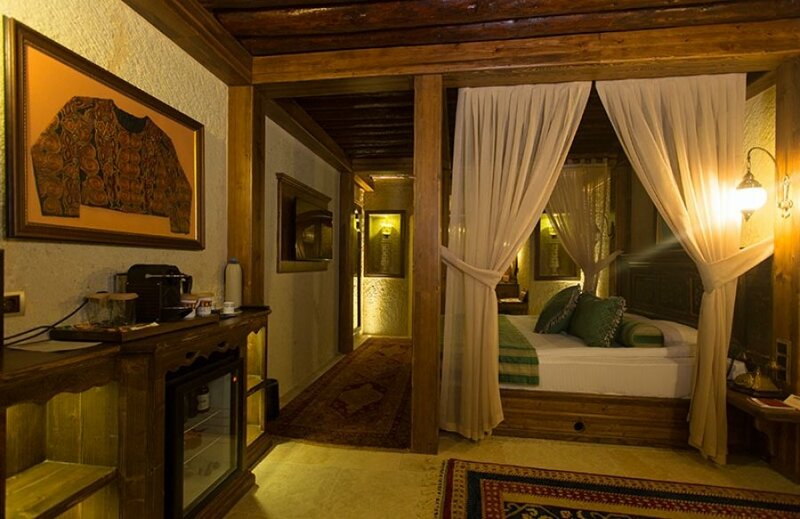 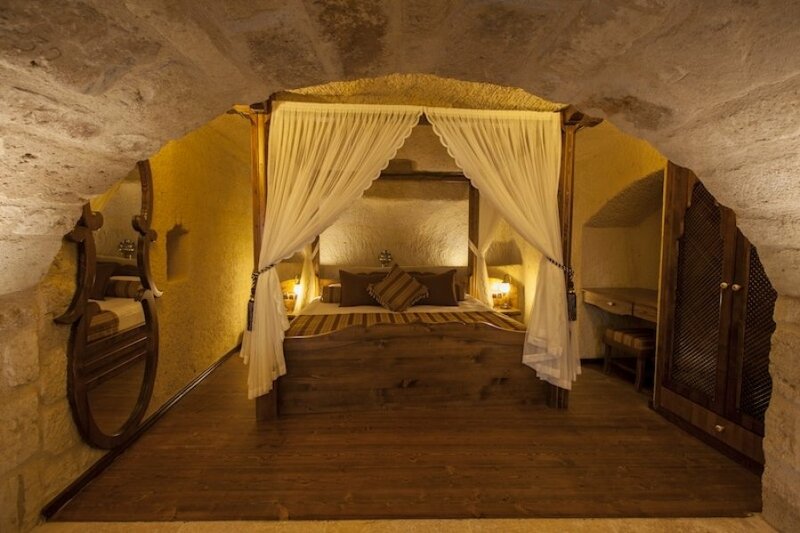 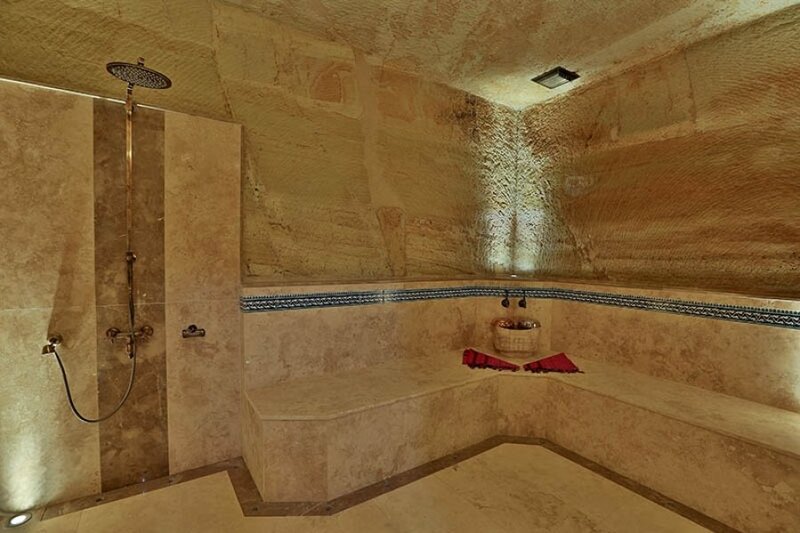 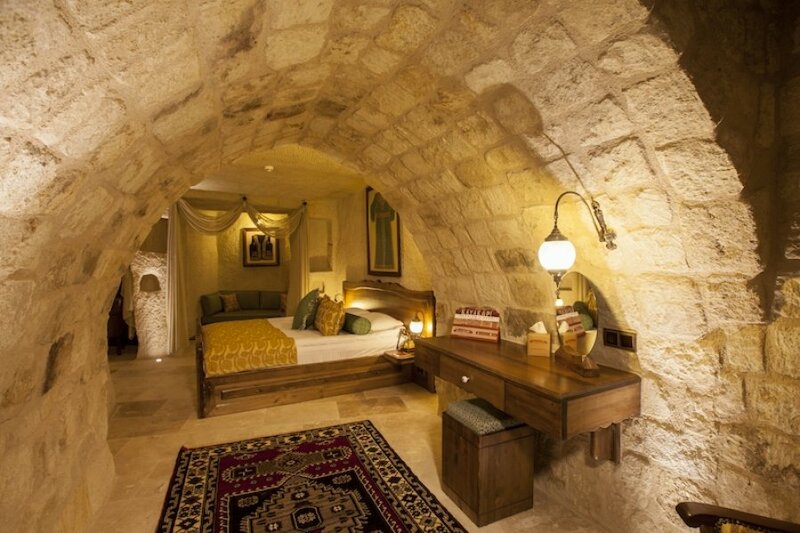 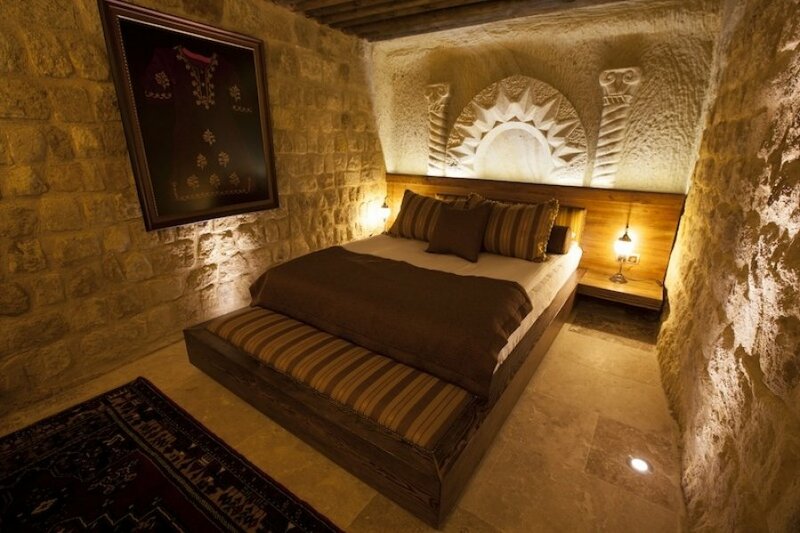 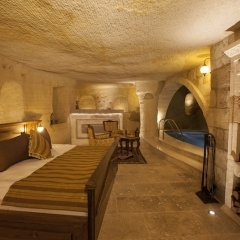 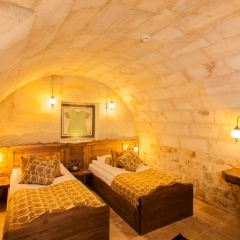 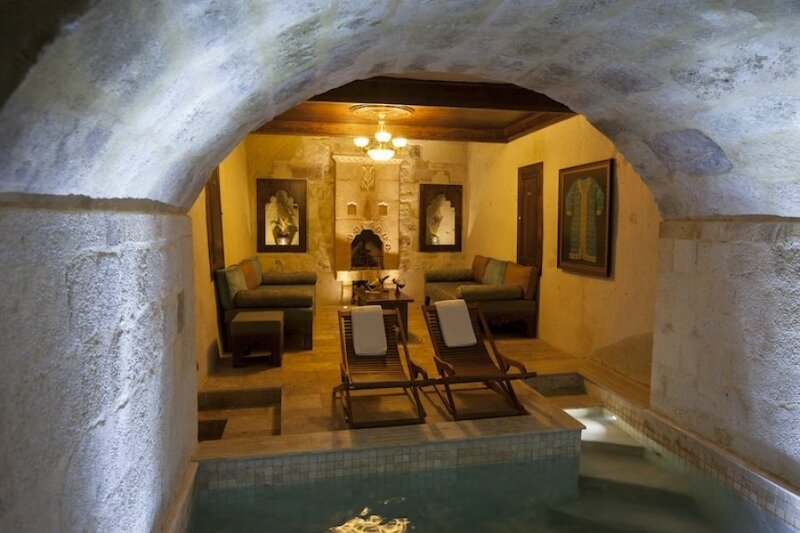 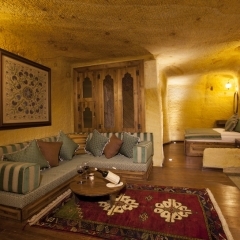 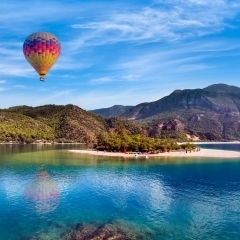 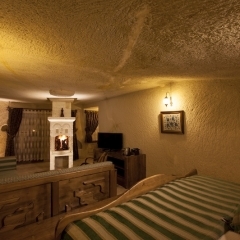 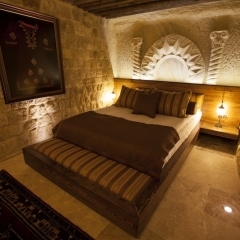 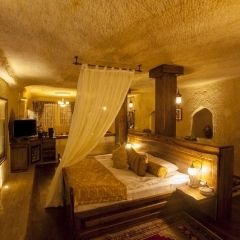 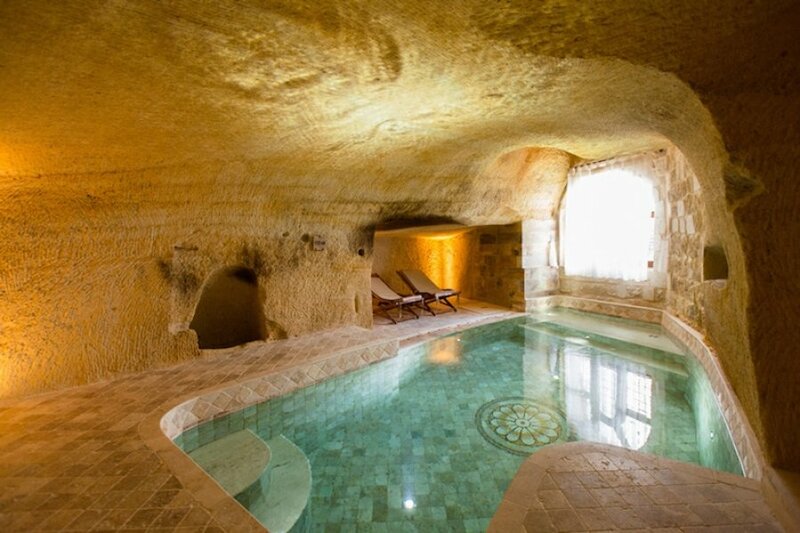 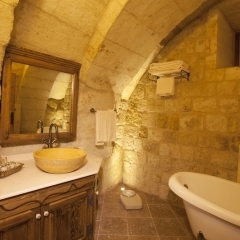 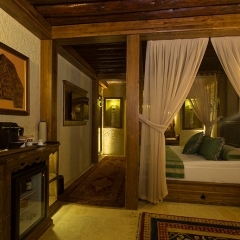 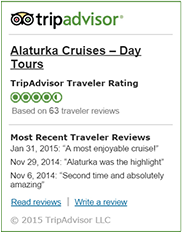 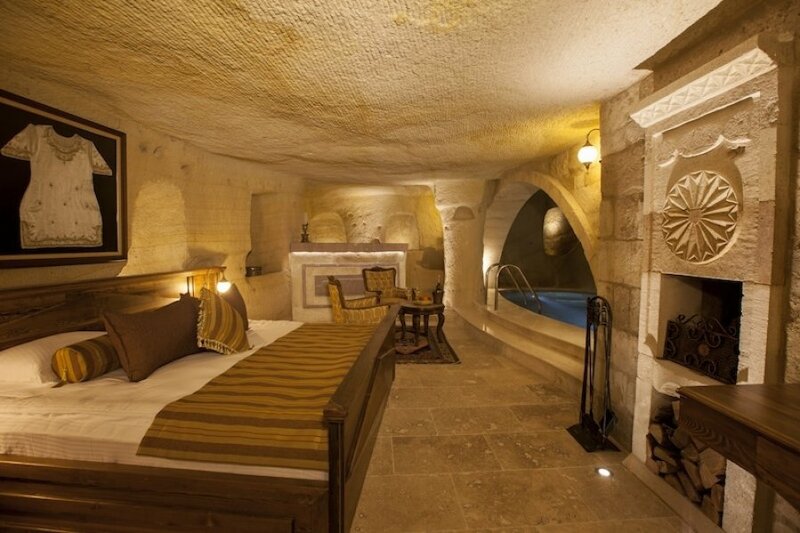 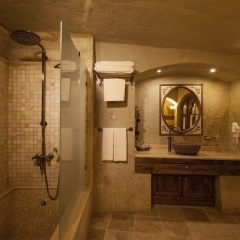 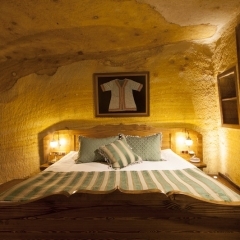 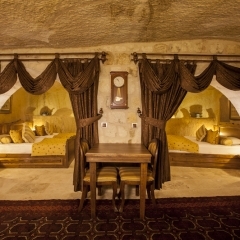 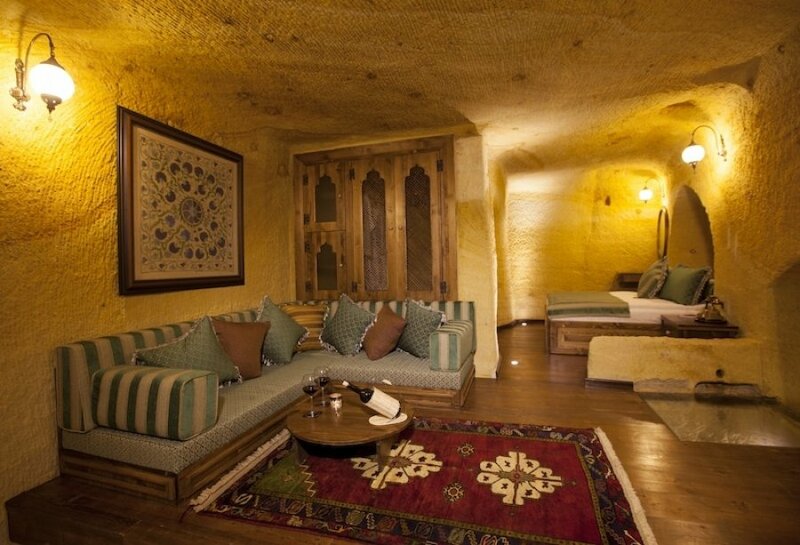 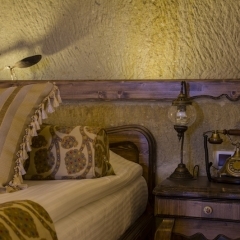 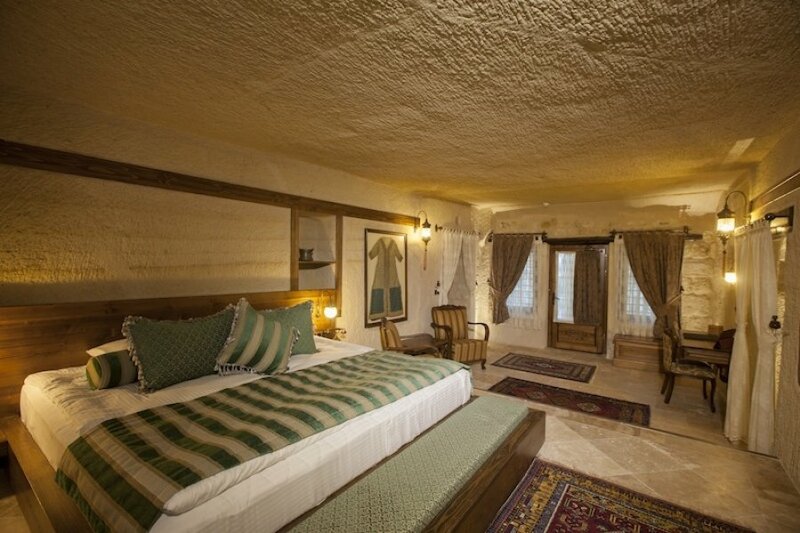 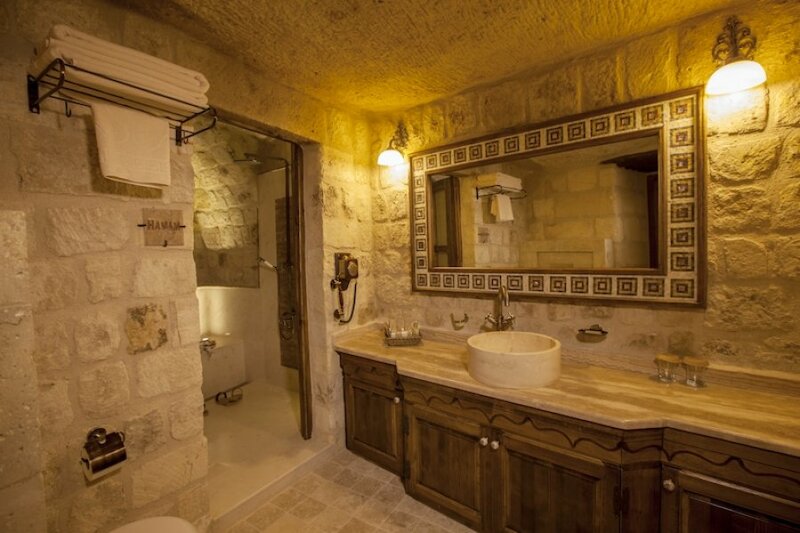 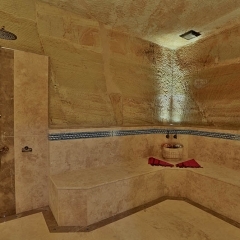 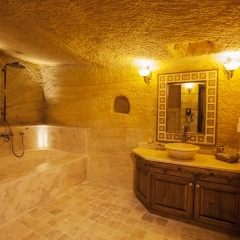 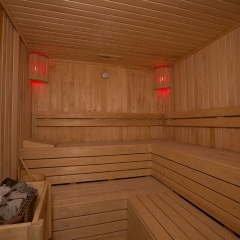 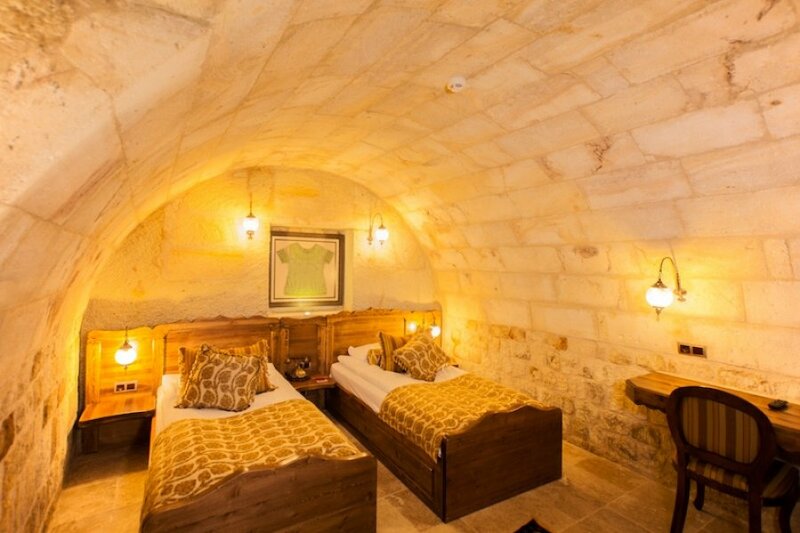 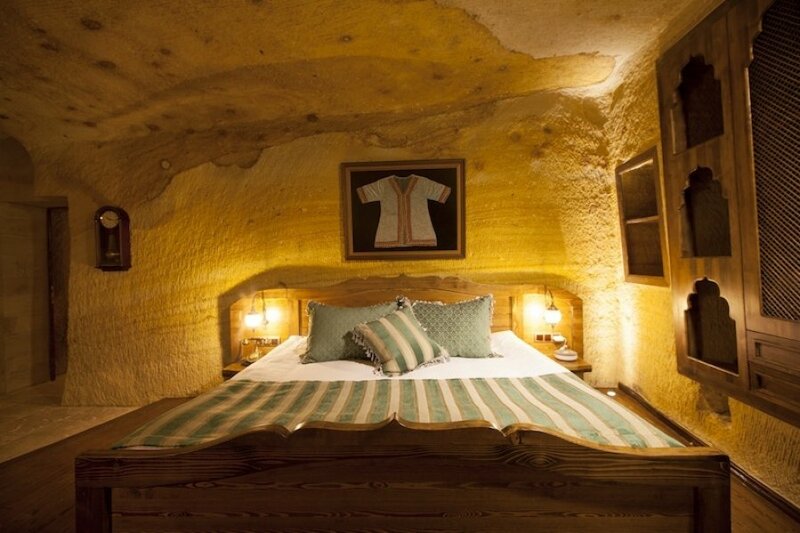 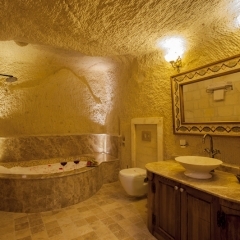 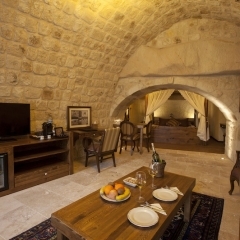 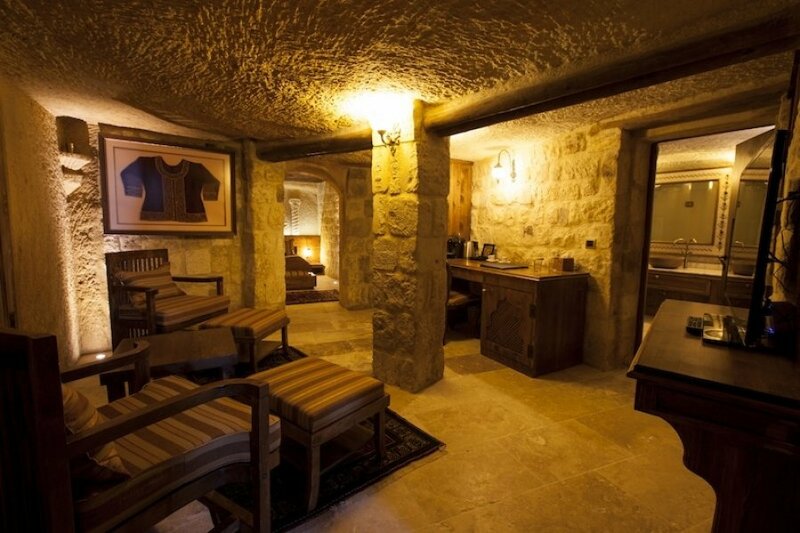 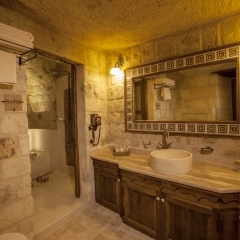 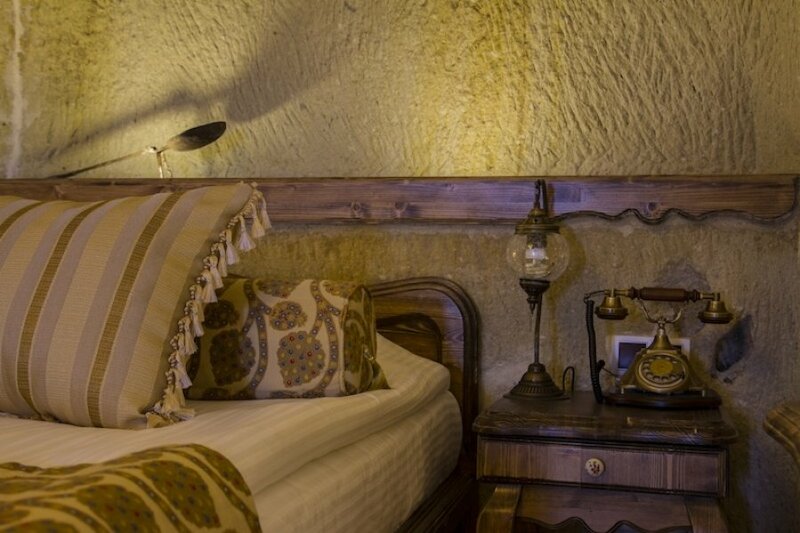 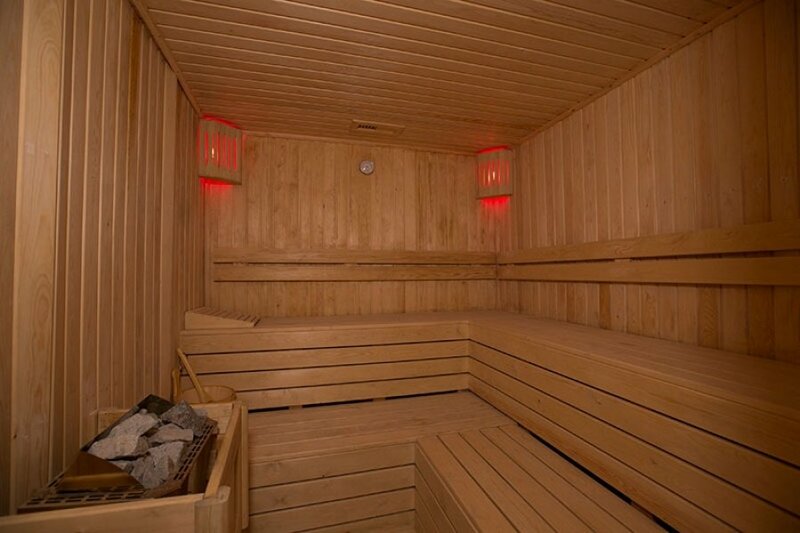 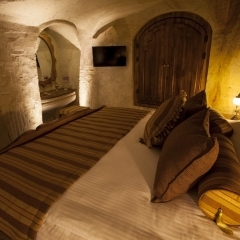 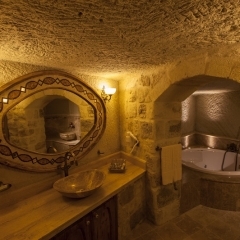 Kayakapi Premium caves has received outstanding reviews for their customer service and wonderful rooms. 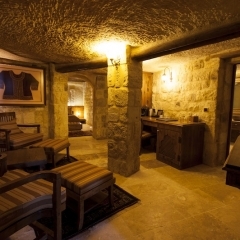 Kayakapi offers impressive stone cut rooms, suites and mansions with beautiful antique furnishings and all modern amenities including Free WiFi, flat-screen TV, minibar, tear & coffee making facilities, iPod docking station, as well as spacious en-suite bathrooms with shower or jacuzzi, bathrobe, towels and toiletries, A/C, central heating, phone, safe and 24 hour room service. 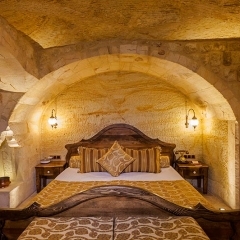 You could stay in one of their Prime rooms, or check in to one of the Glorious, Majestic or Royal Suites, with or without swimming pool and fireplace. 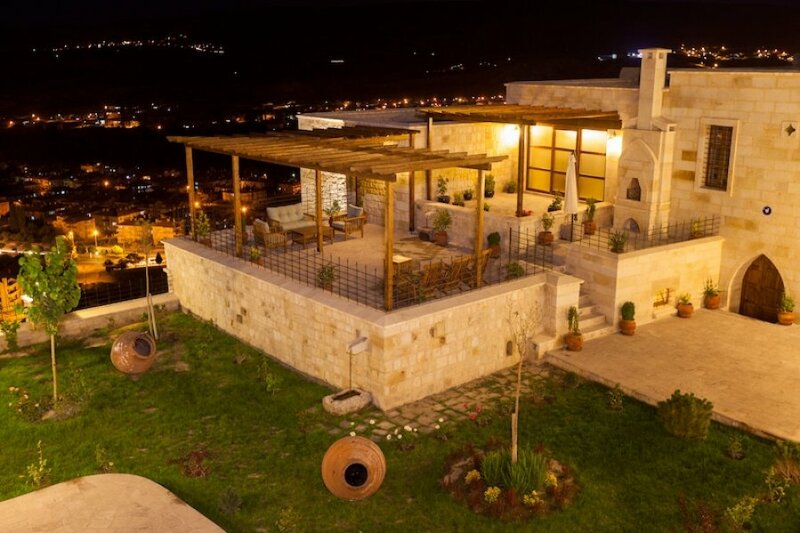 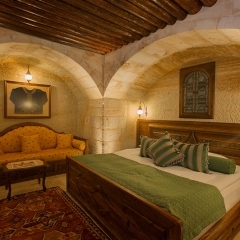 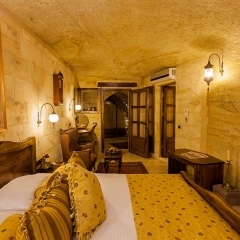 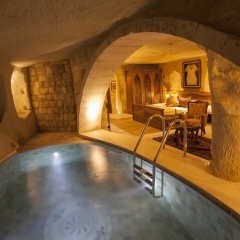 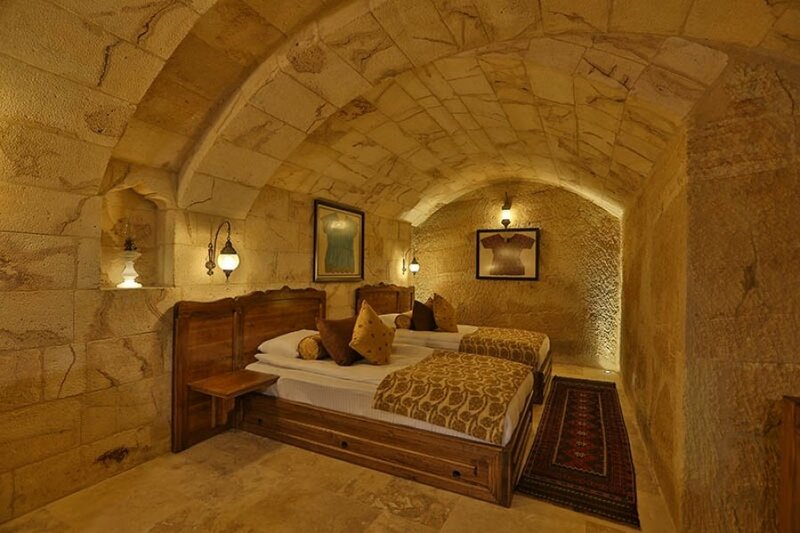 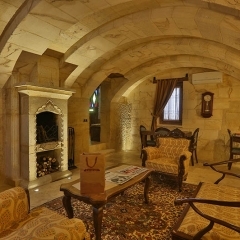 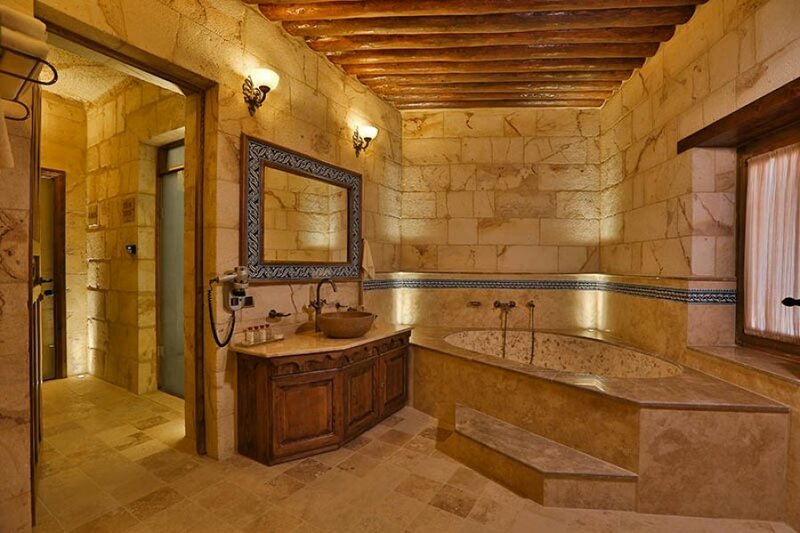 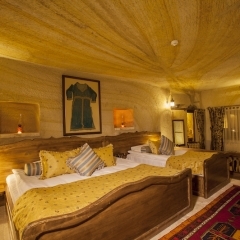 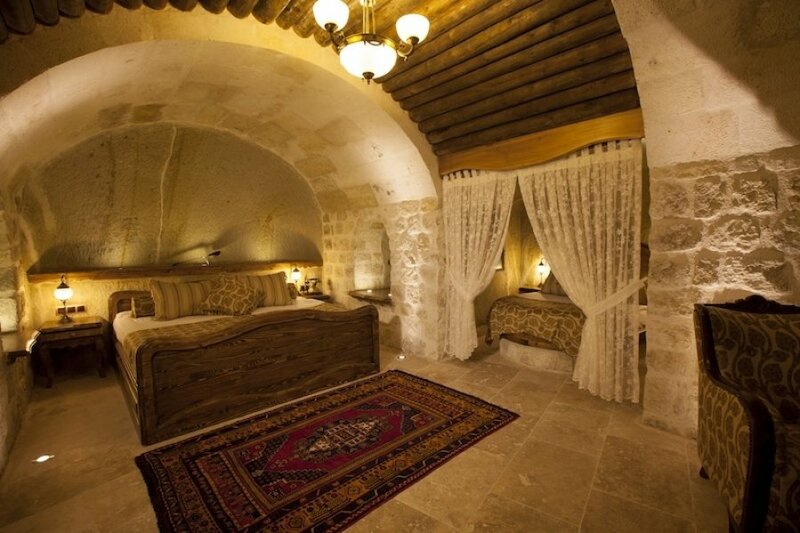 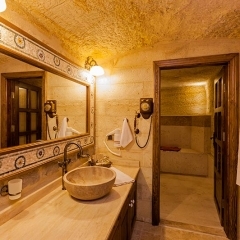 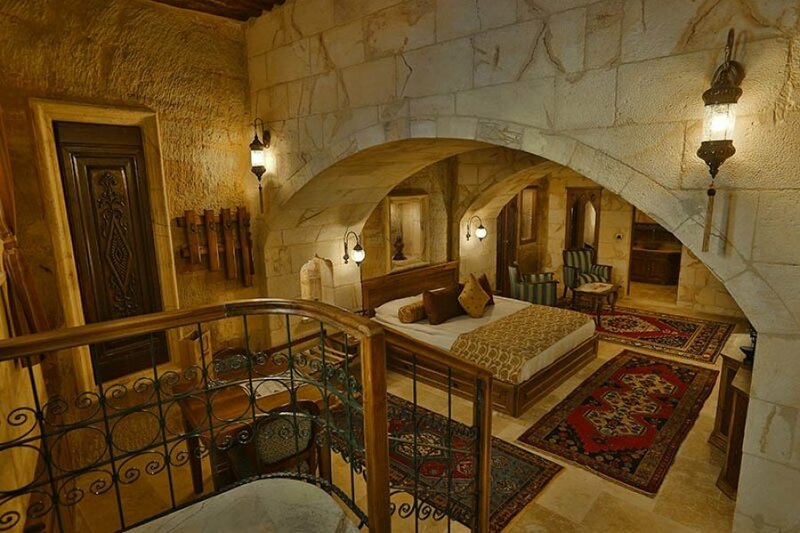 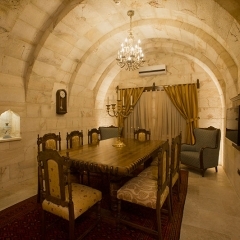 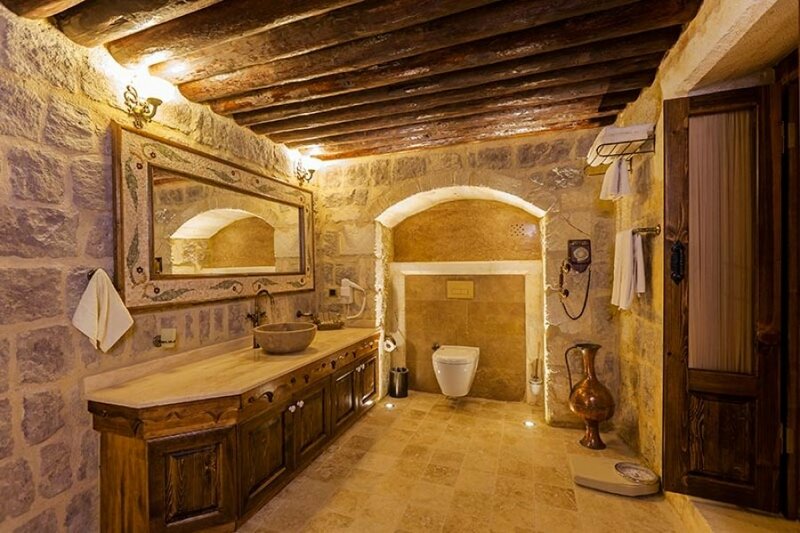 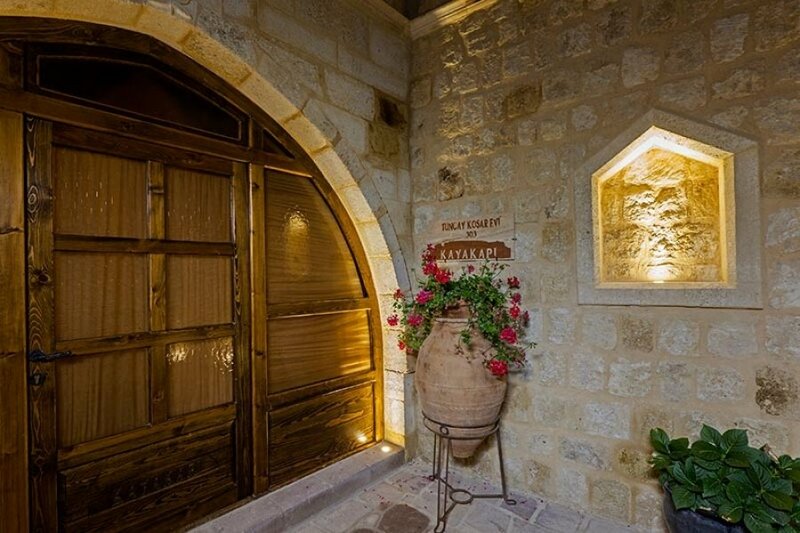 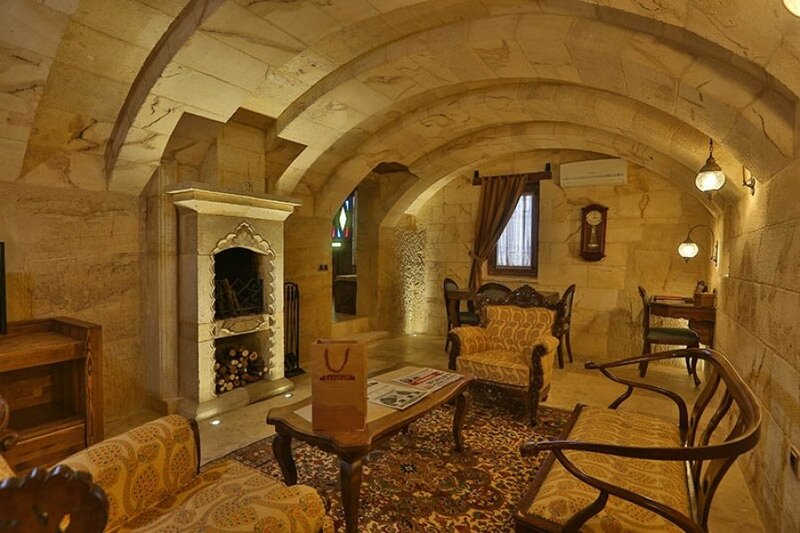 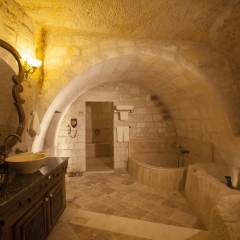 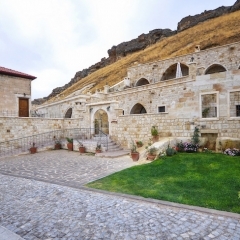 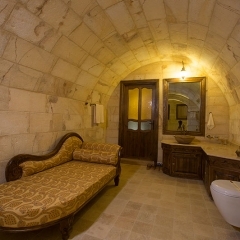 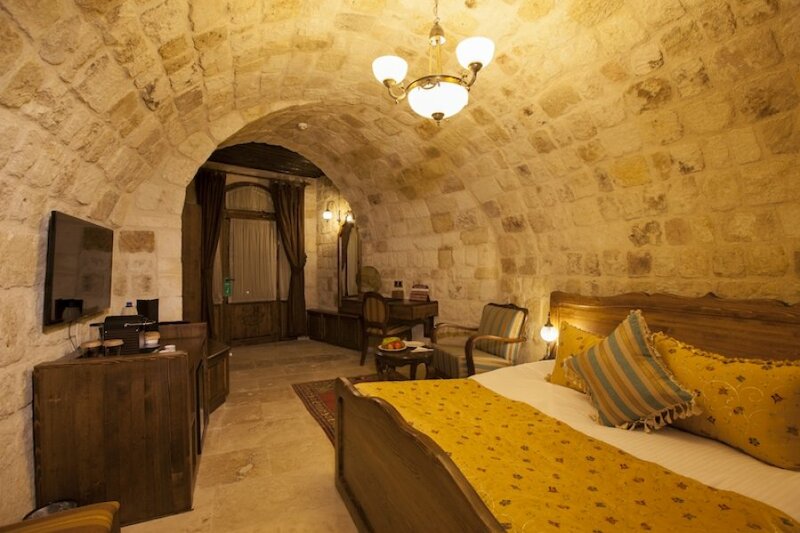 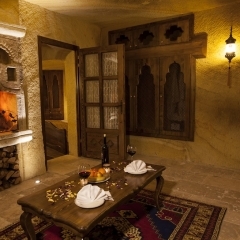 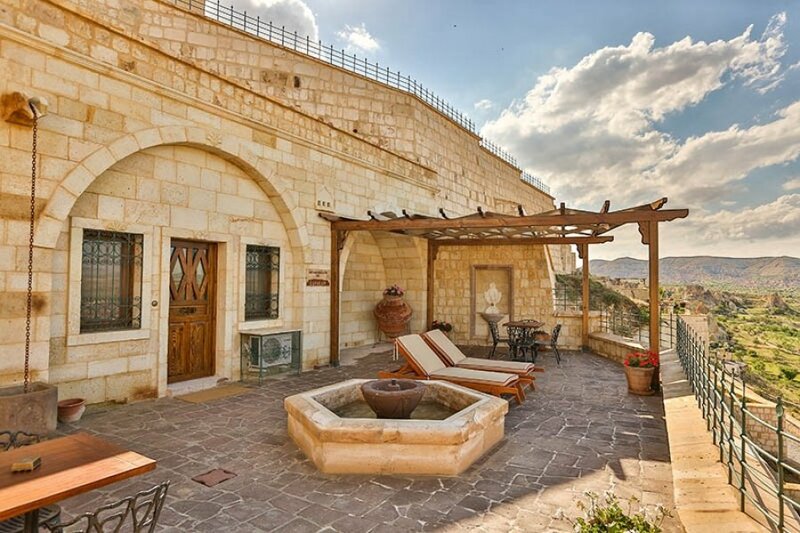 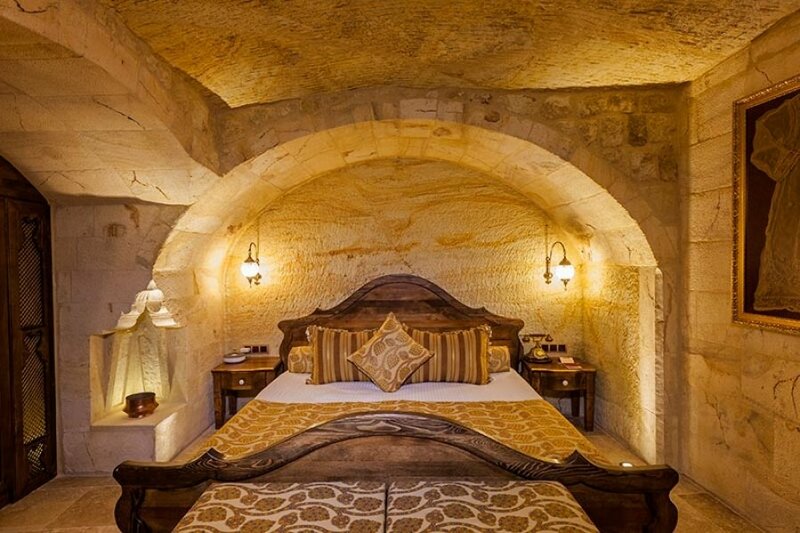 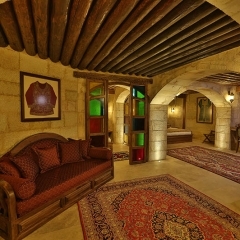 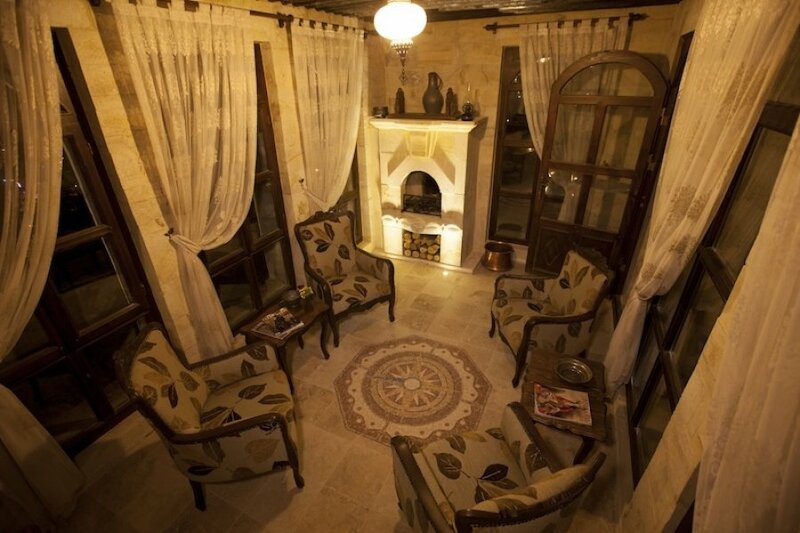 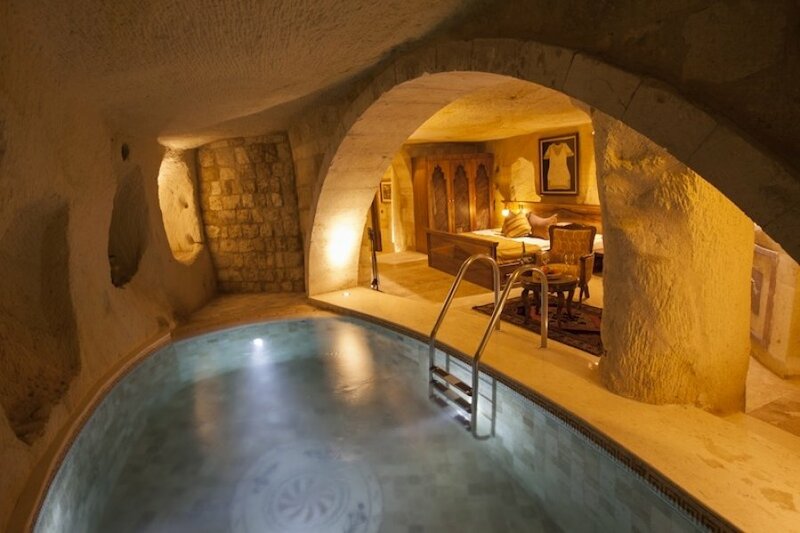 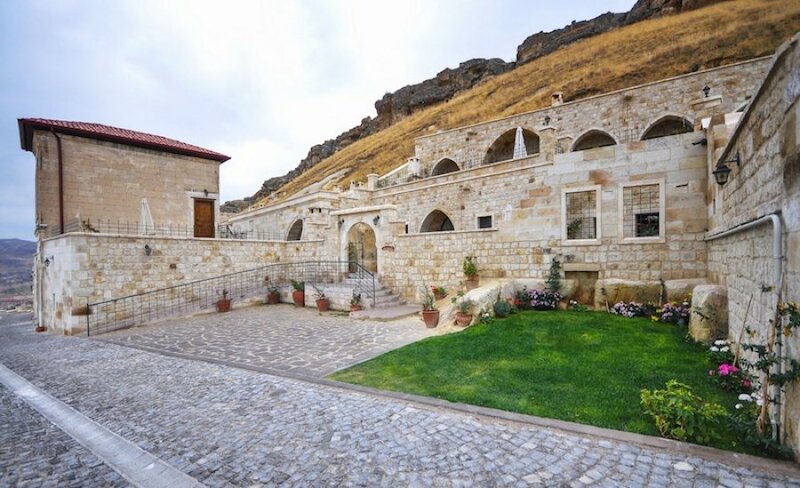 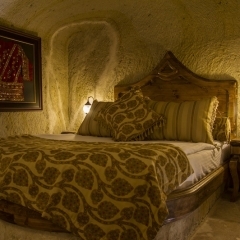 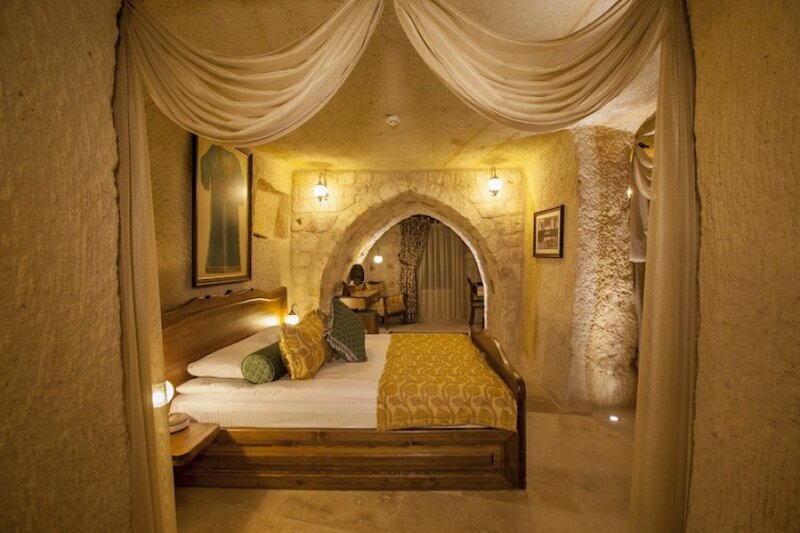 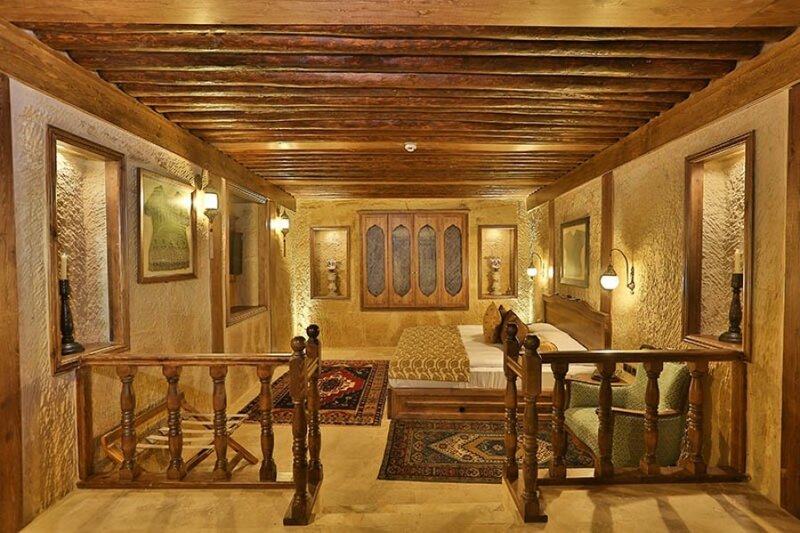 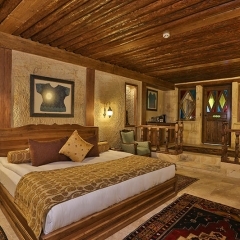 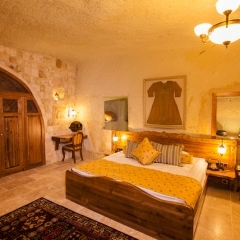 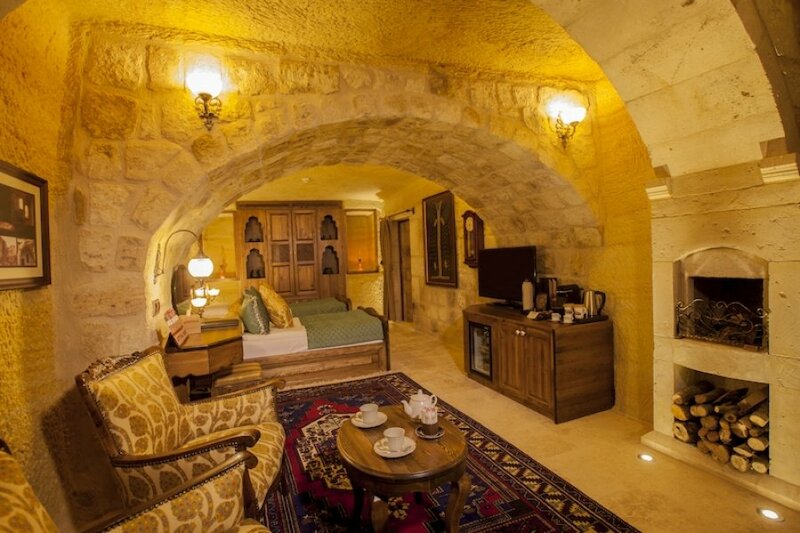 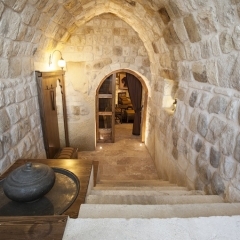 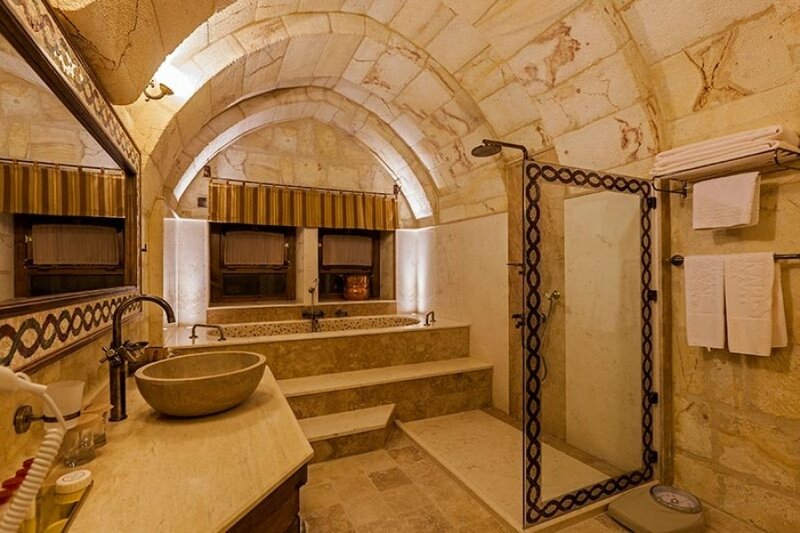 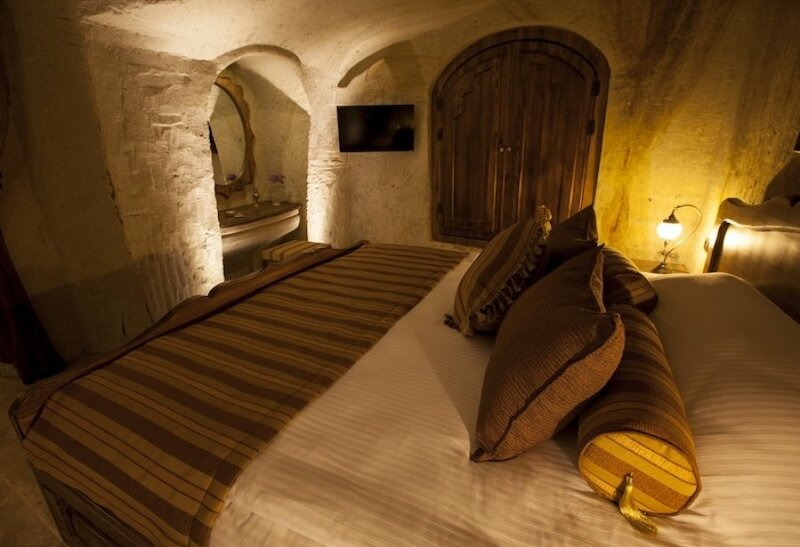 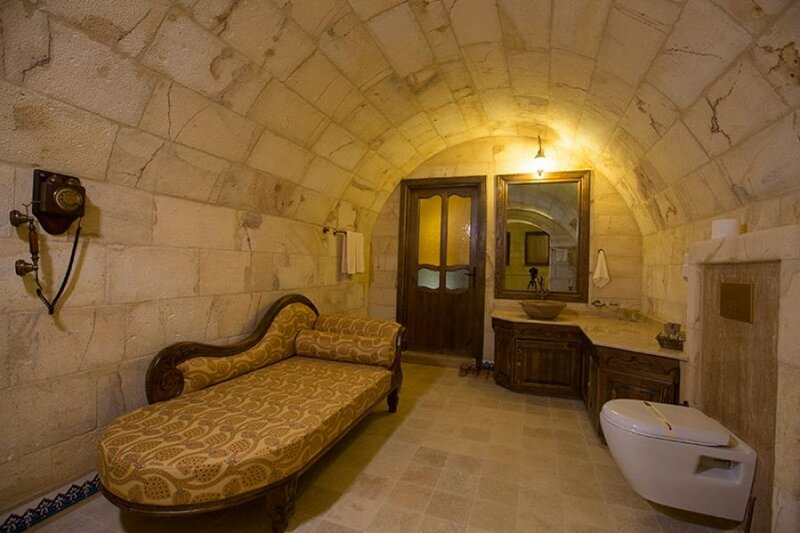 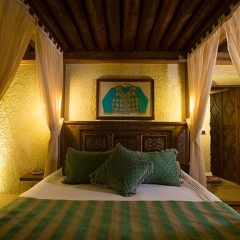 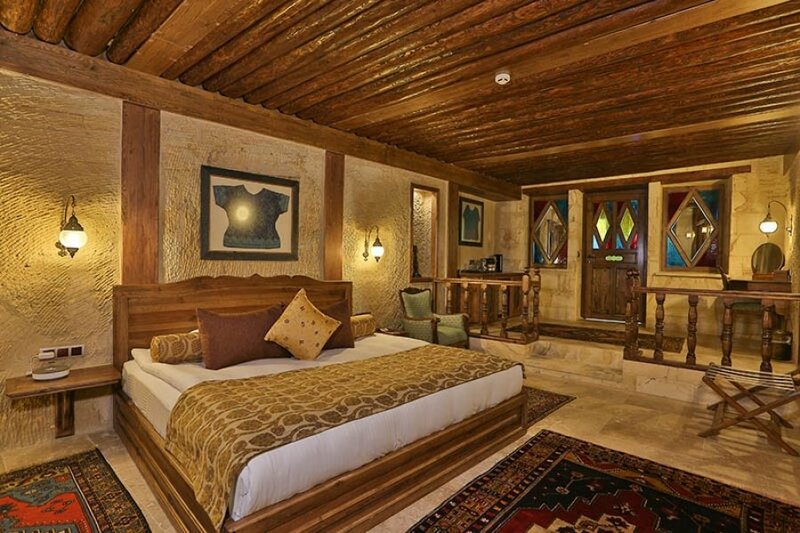 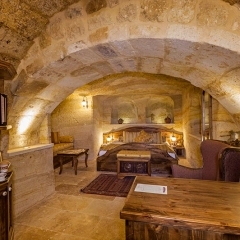 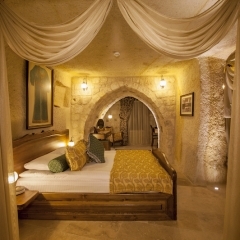 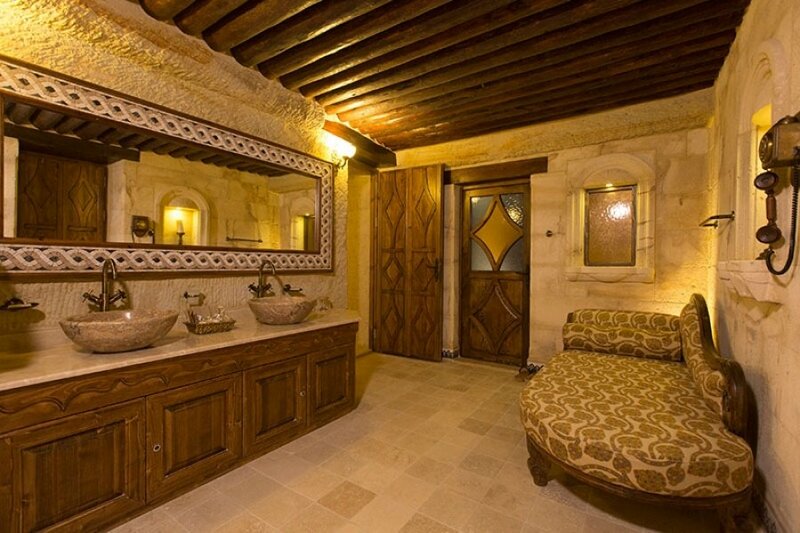 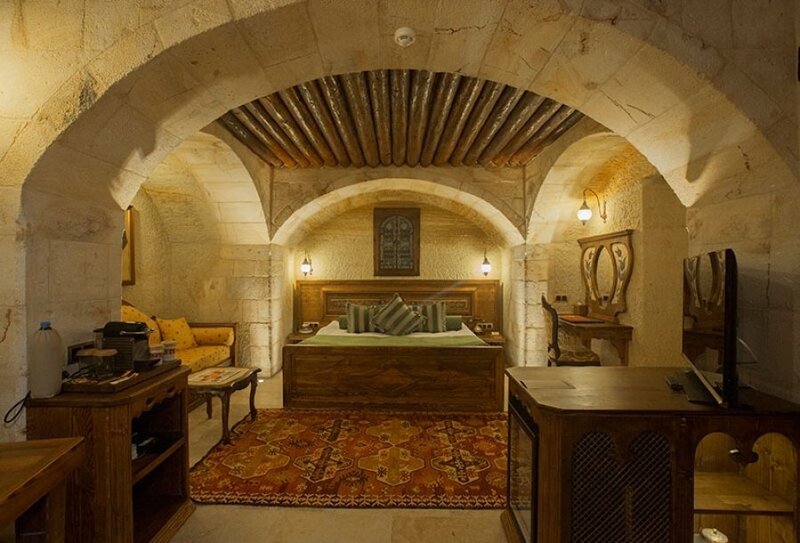 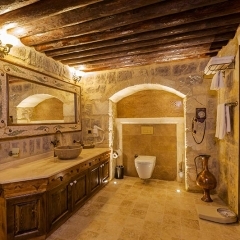 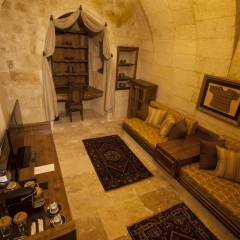 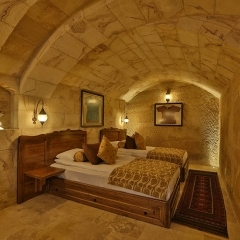 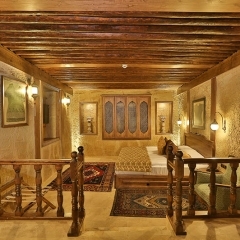 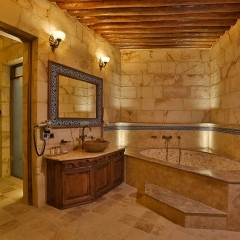 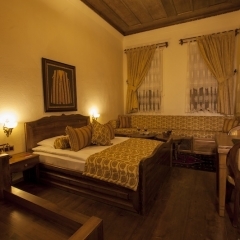 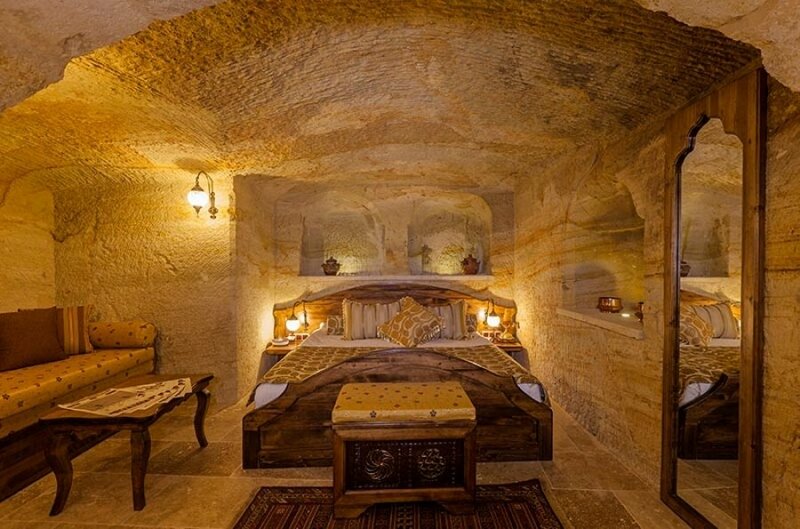 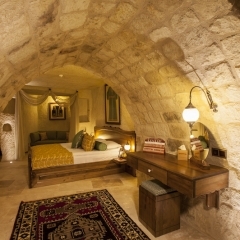 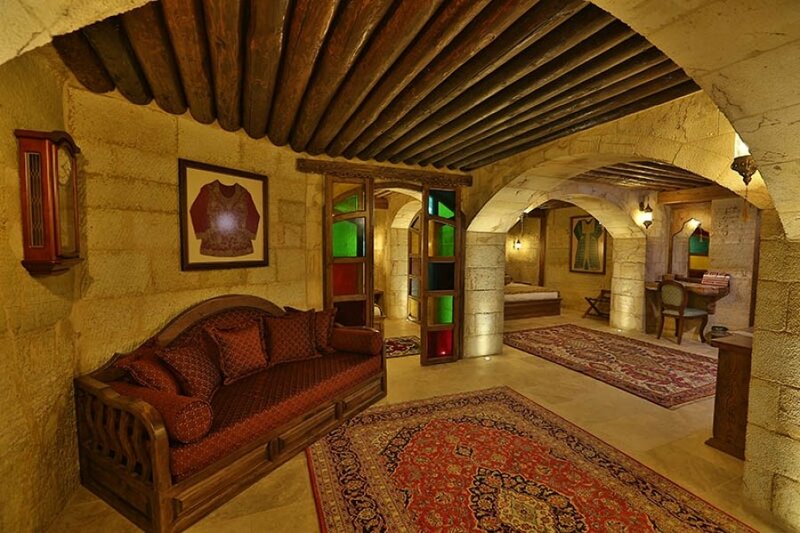 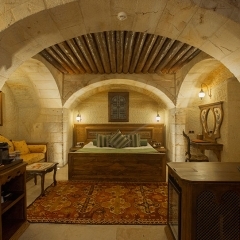 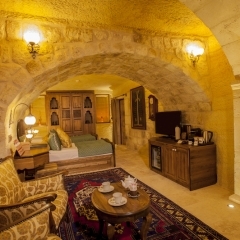 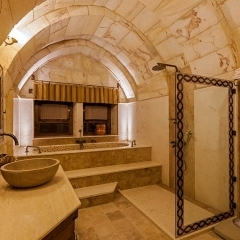 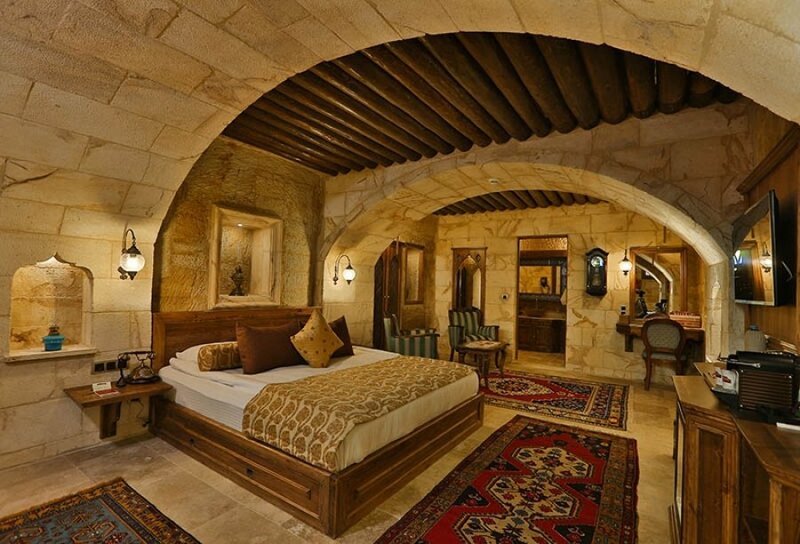 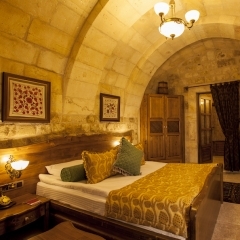 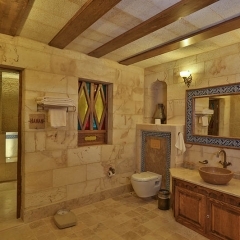 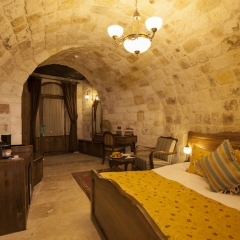 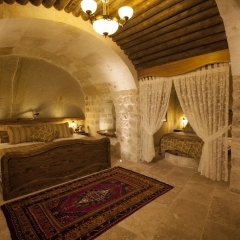 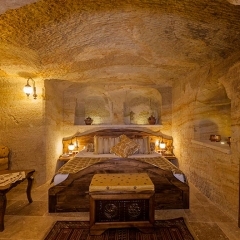 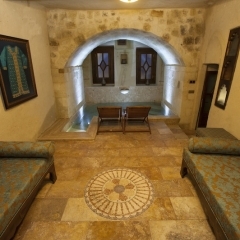 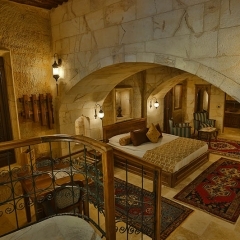 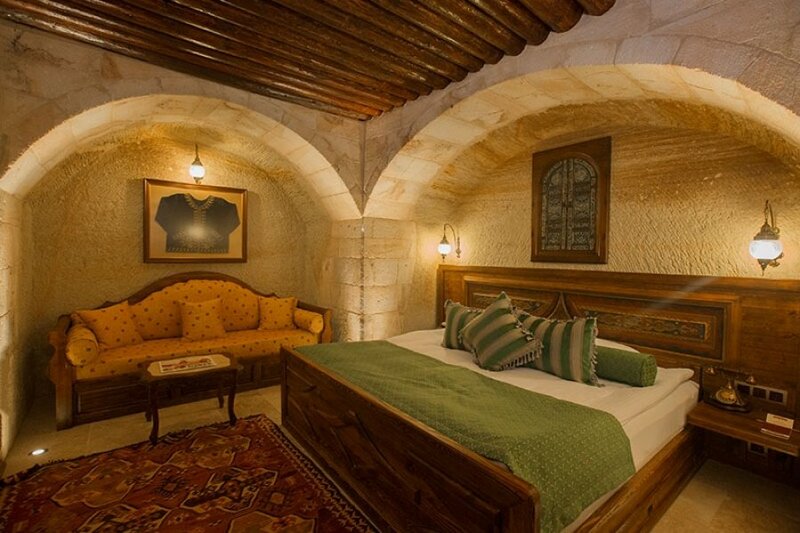 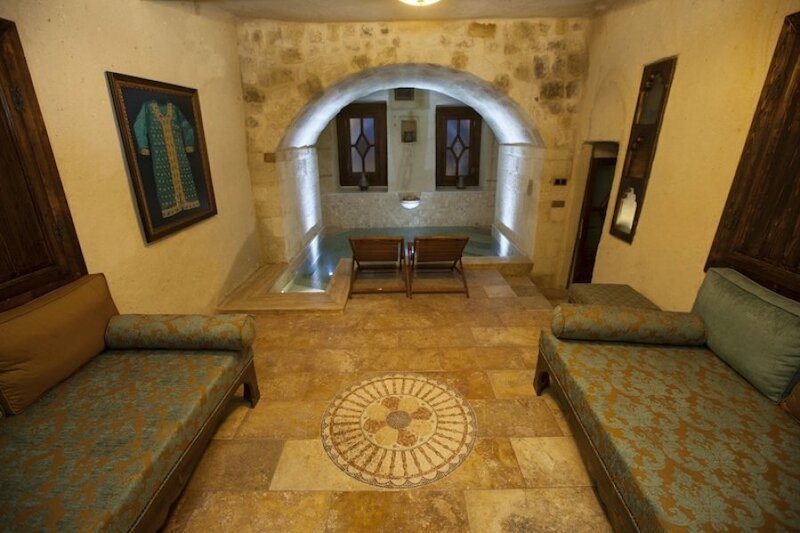 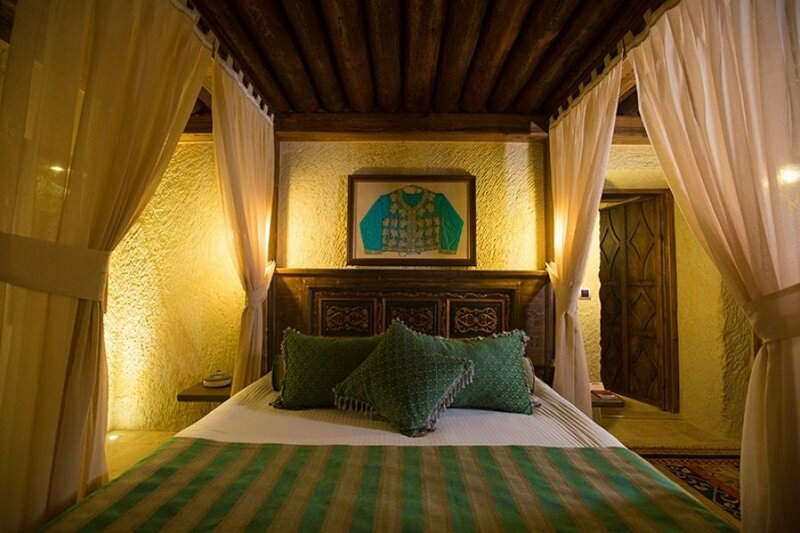 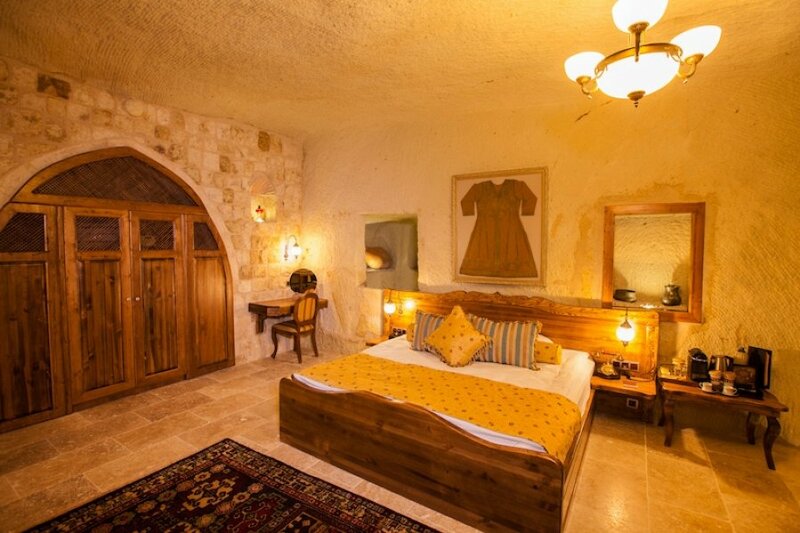 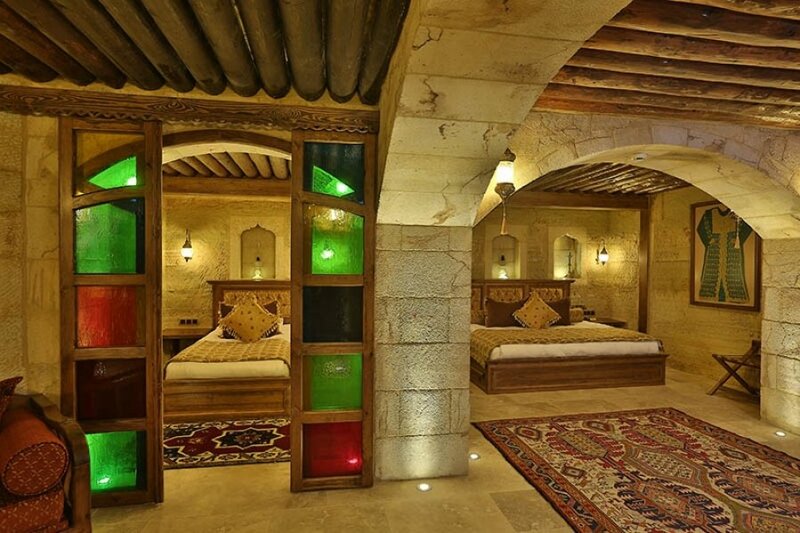 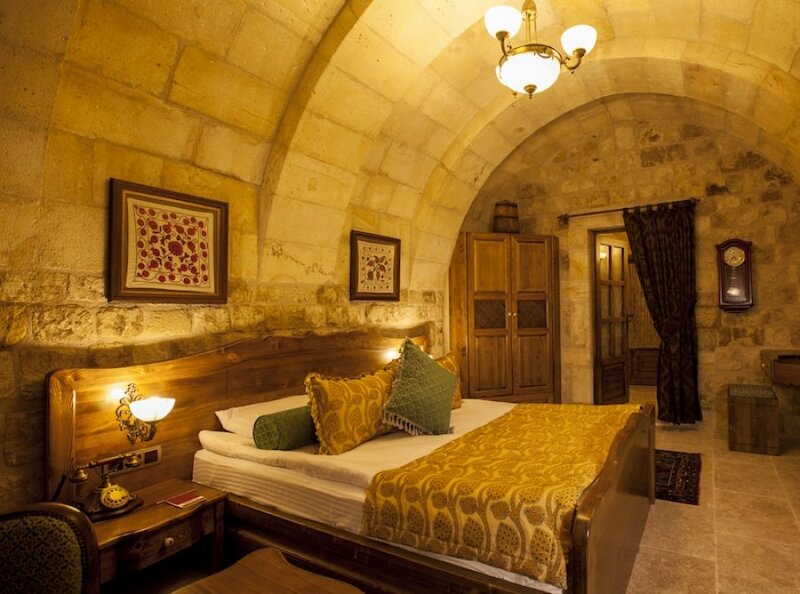 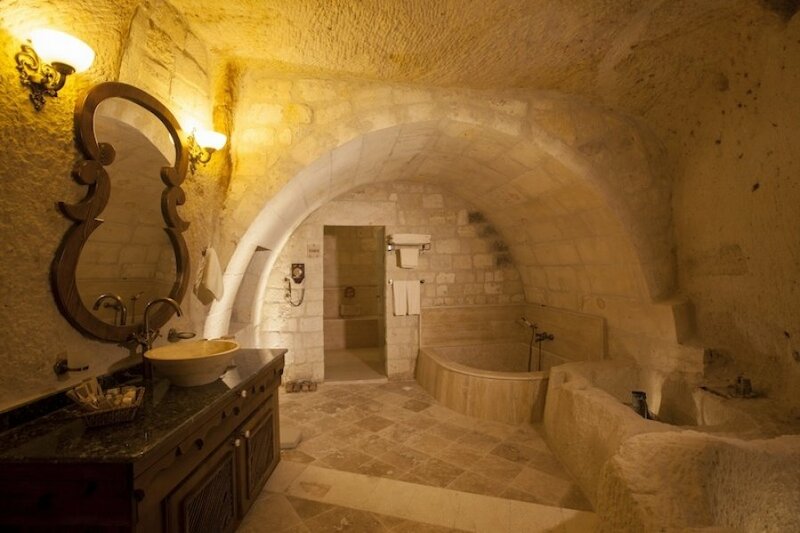 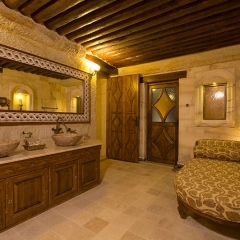 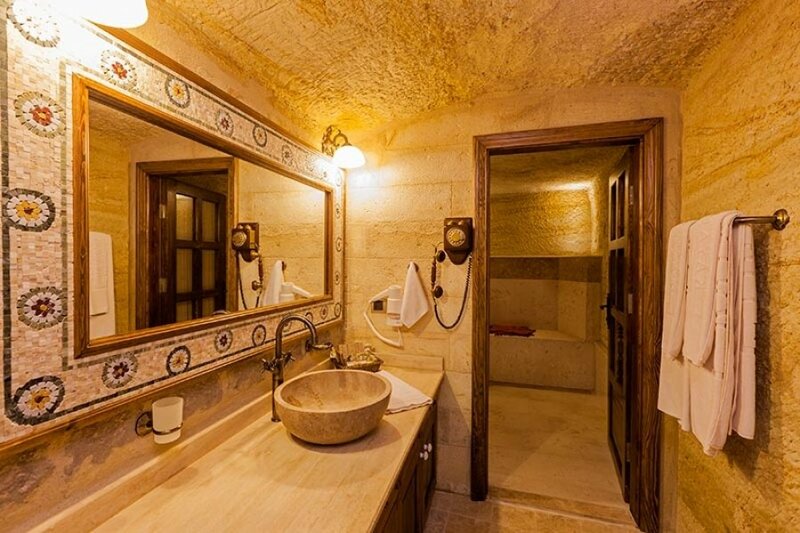 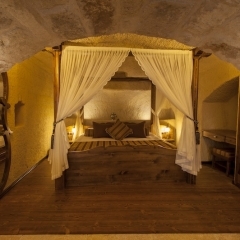 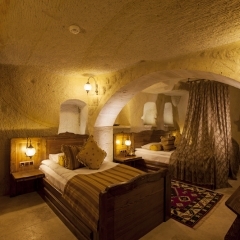 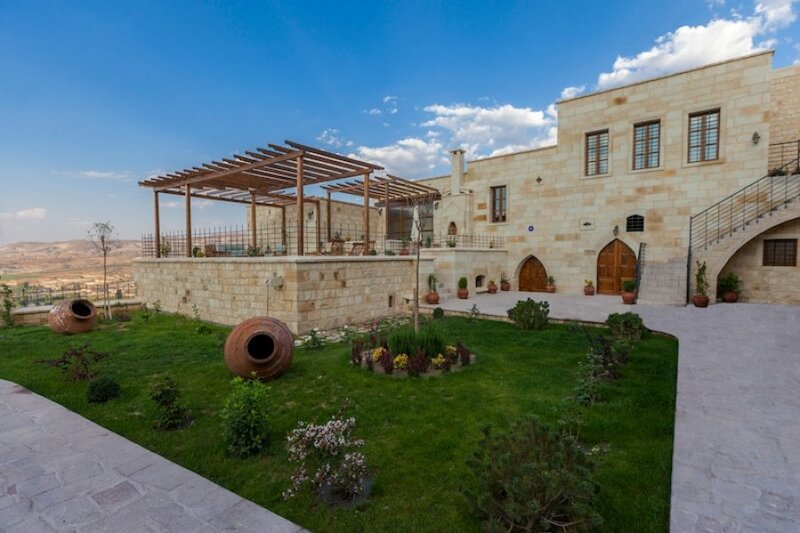 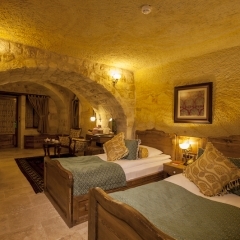 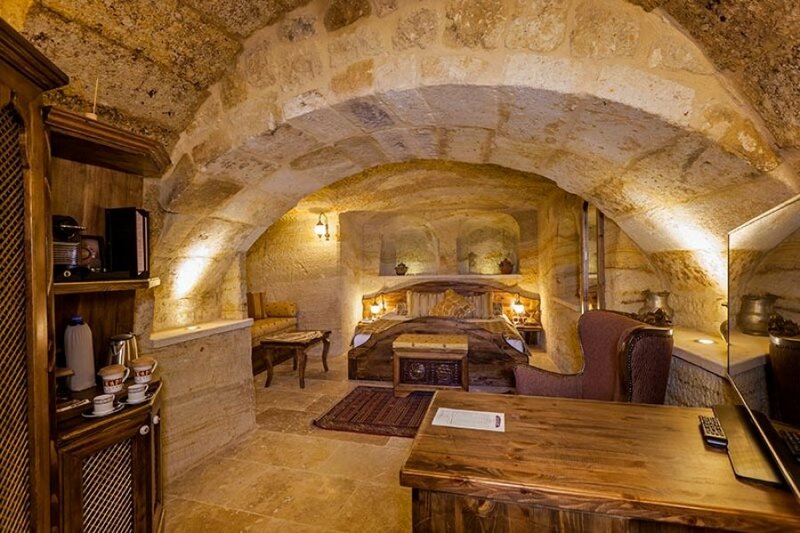 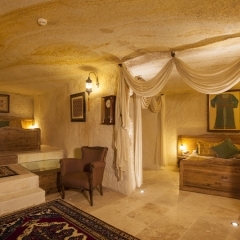 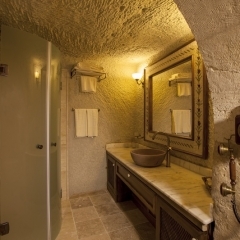 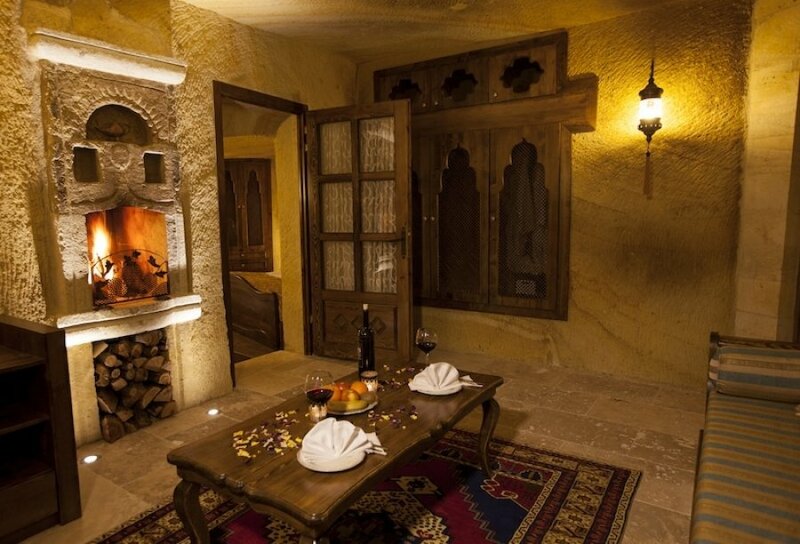 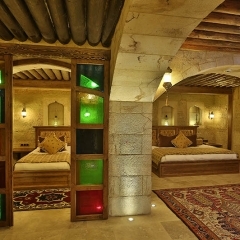 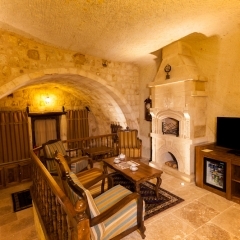 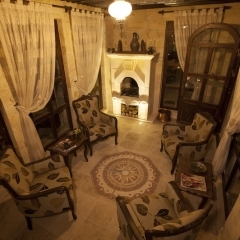 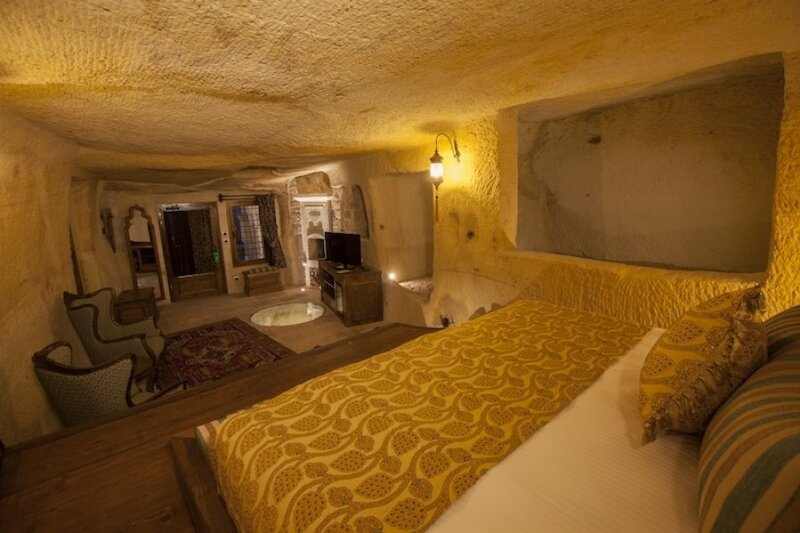 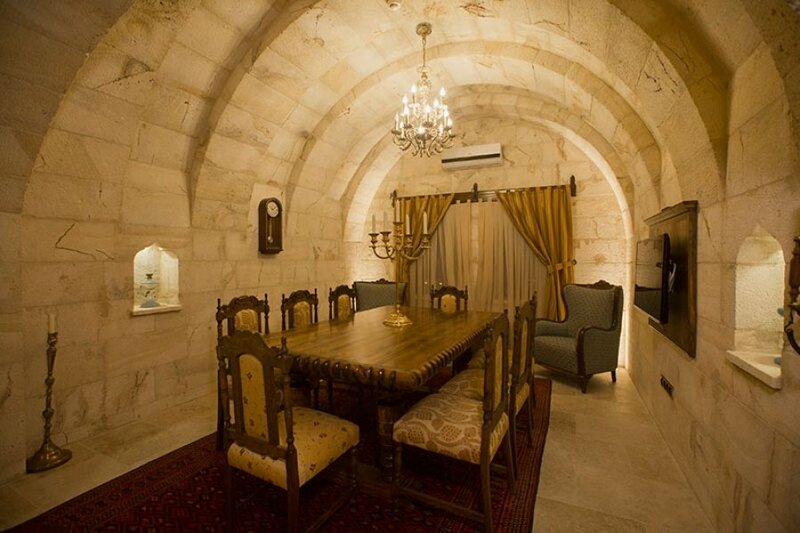 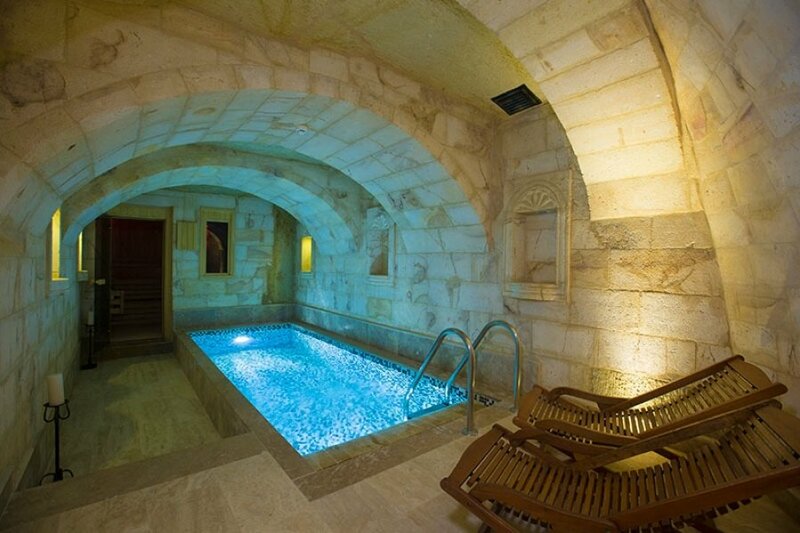 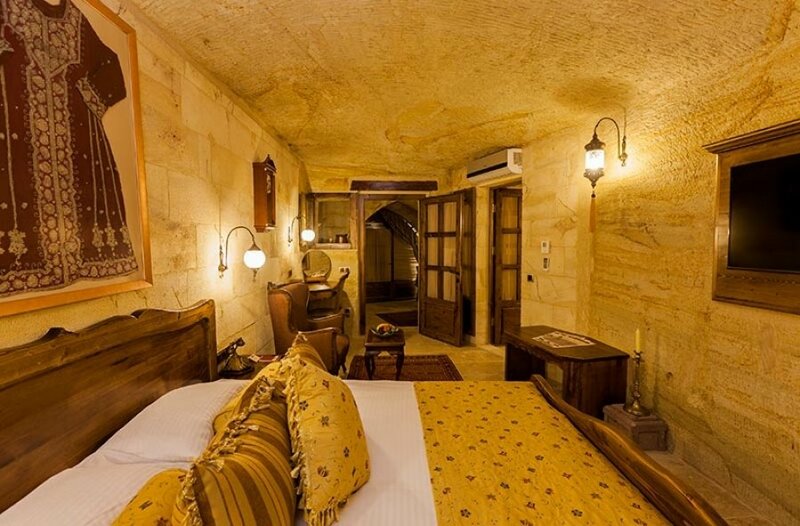 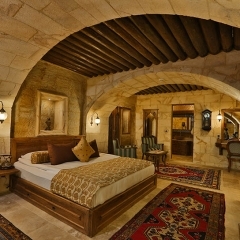 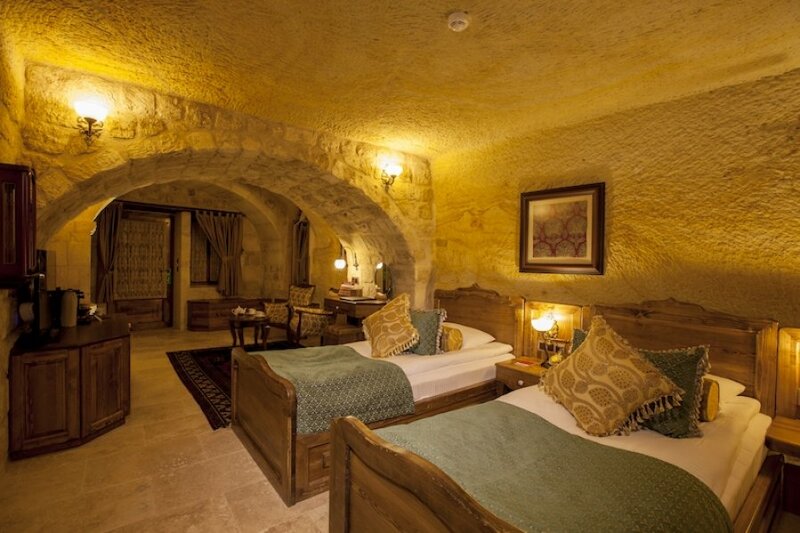 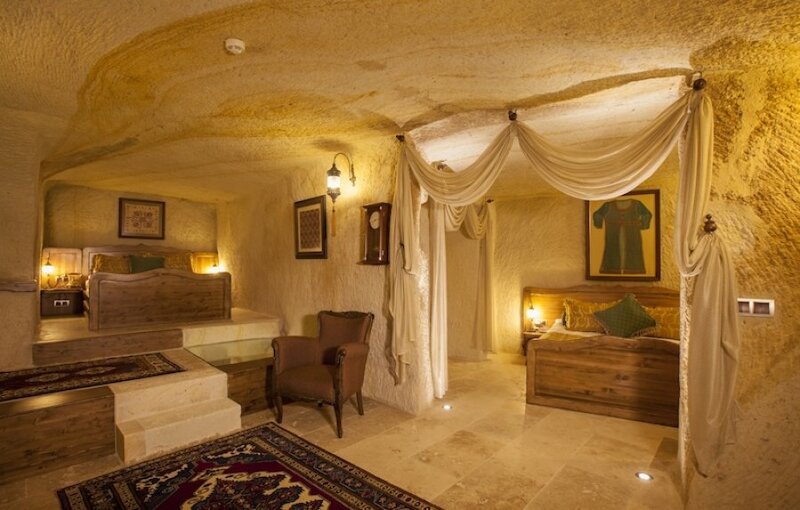 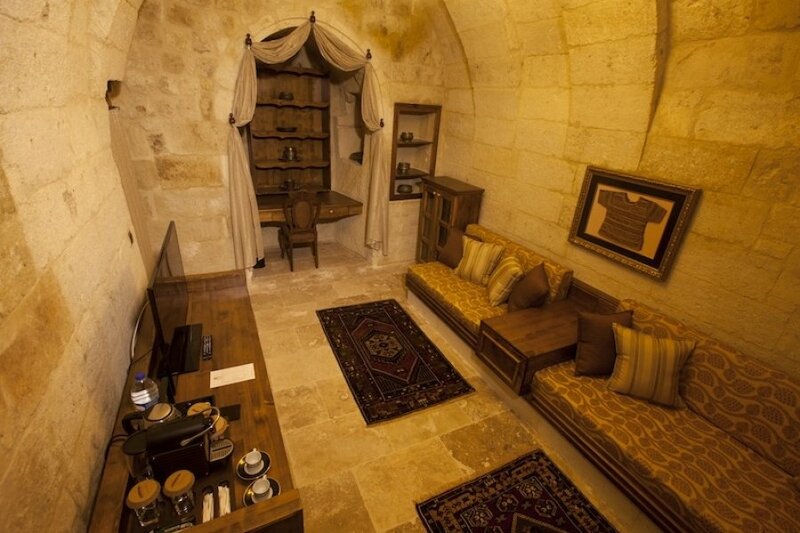 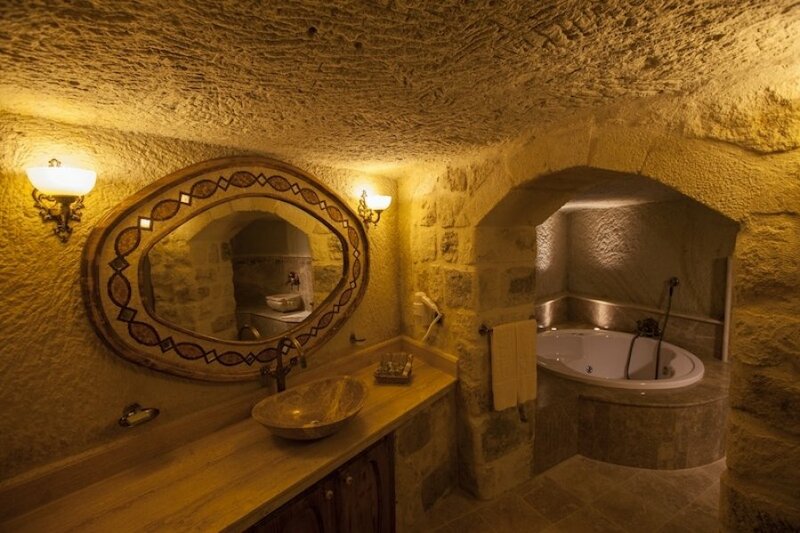 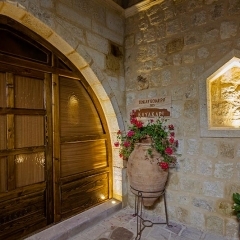 If you plan to visit with your family you could book the hotels ‘Grandiose Cappadocian Mansion’, suitable for up to 6 people, with terrace and courtyard so you will have maximum privacy and plenty of space and feel right at home. 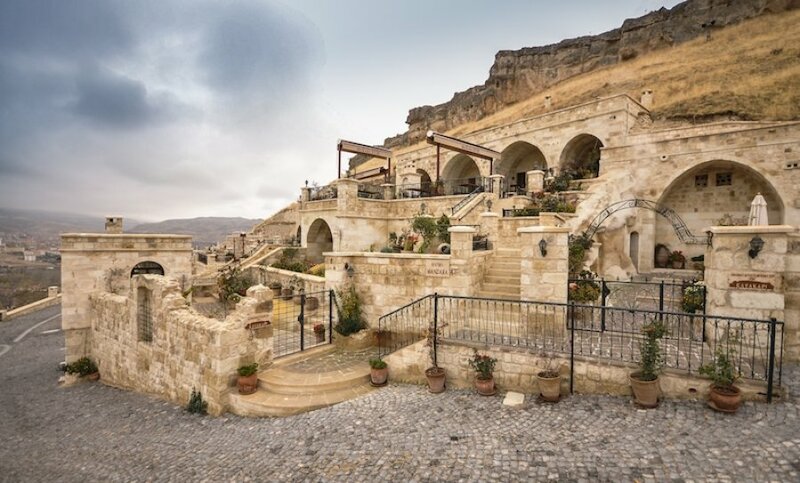 A rich buffet breakfast is free of charge for all of the Kayakapi guests, an international and Cappadocian selection will be available in their main restaurant from 7-10 am each morning. 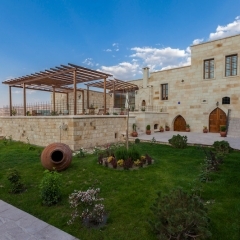 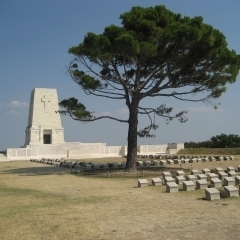 Lunch and dinner are available in their 2 onsite restaurants, one of which is located on the open terrace so you can enjoy the views on a cool summer evening and watch the sunset. 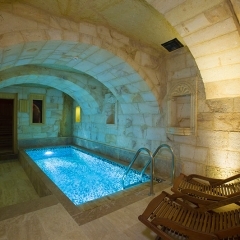 The hotel offers 24 hour reception and bilingual staff, as well as an outdoor pool, spa and fitness centre, wine cellar and chic lounge. 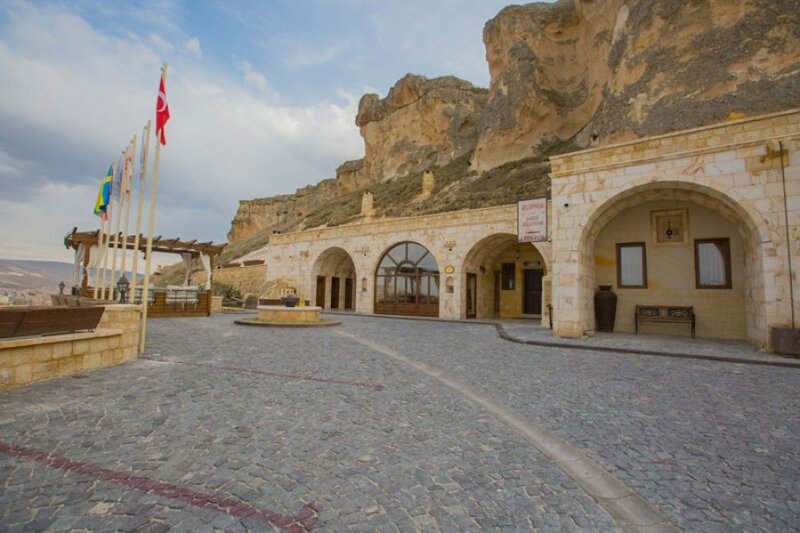 Kayakapi Premium Caves also offer a free shuttle service within the hotel and a free one way shuttle from the hotel to the centre of Urgup. 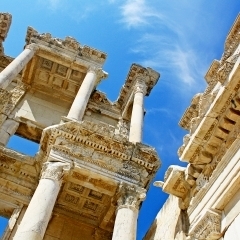 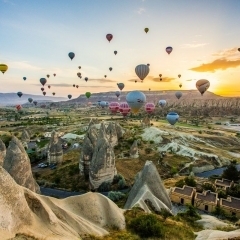 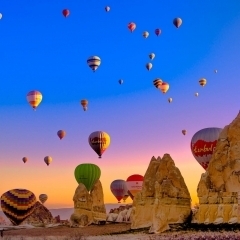 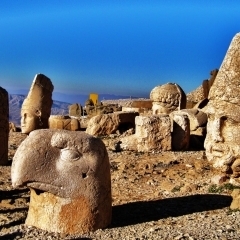 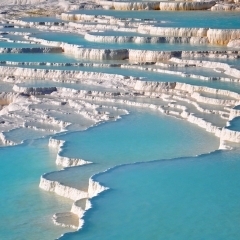 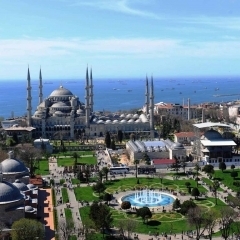 There are daily flights from Istanbul, Izmir, Ankara and Antalya to Cappadocia in Nevsehir Airport, this if the closest airport to Urgup, where Kayakapi Premium Caves is located. 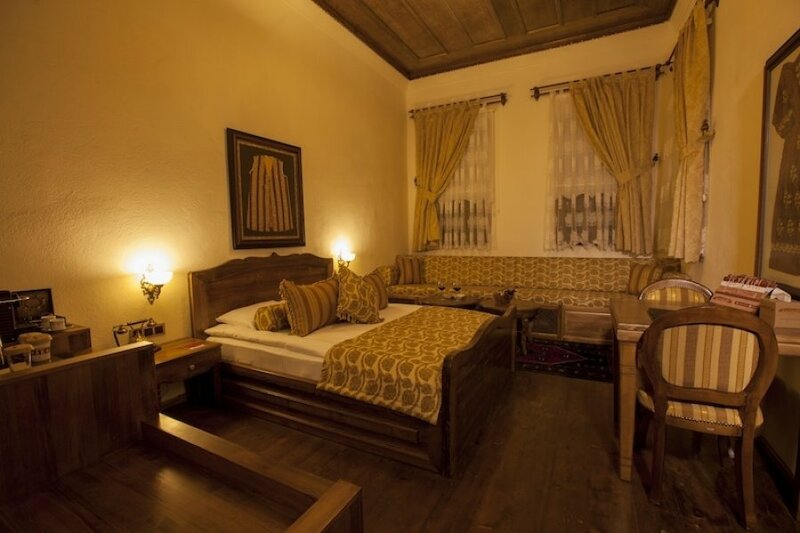 A taxi will take approximately 30-45 minutes or you can contact the hotel in advance for a private or shared transfer service. 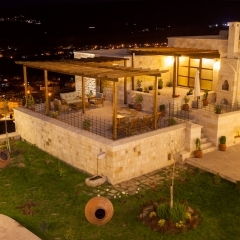 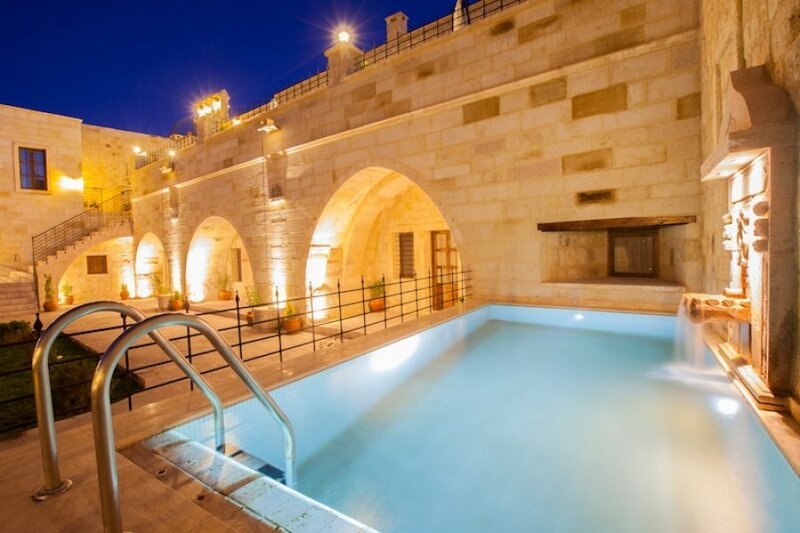 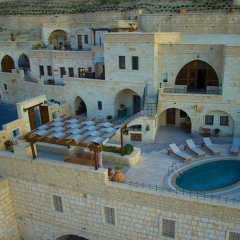 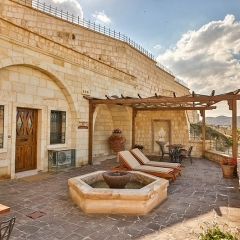 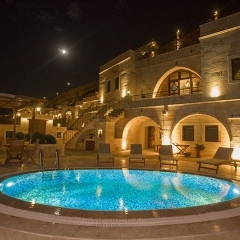 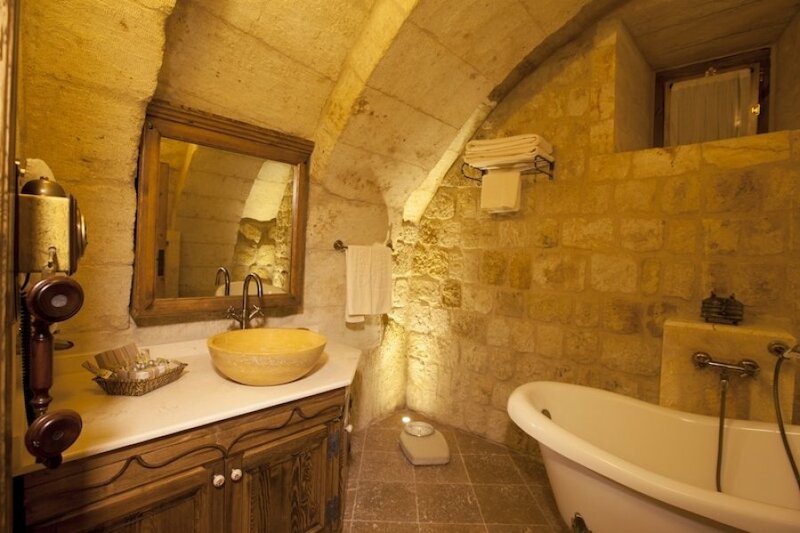 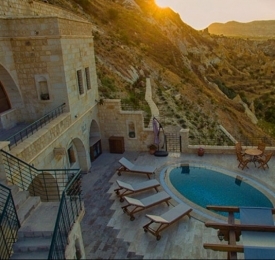 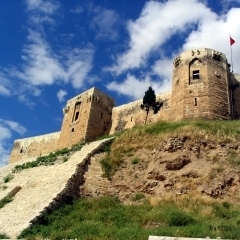 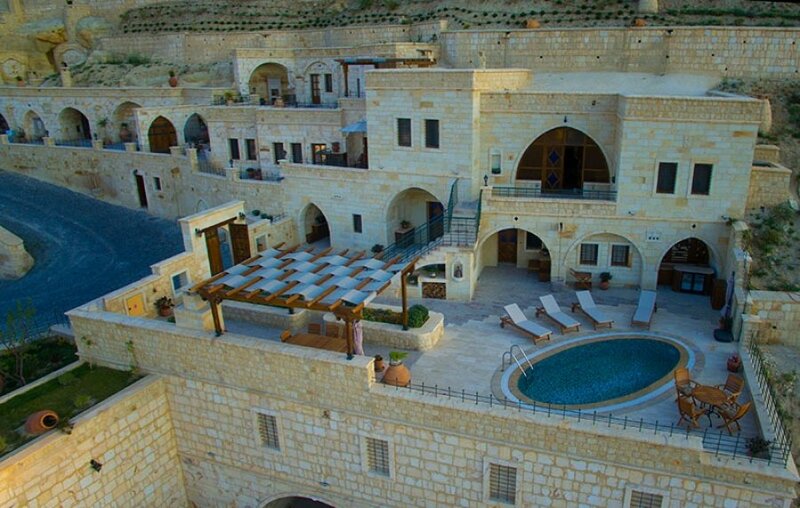 The hotel is on the hillside, about a 10-12 minute walk from the centre of Urgup.